Hope it's as exciting as what Killraven's got planned. It occurs to me that I didn't show hardly anyone hating cephalopods this month. Or October for that matter. It also occurs to me that I've got the next couple of weeks off work to enjoy the Week Between Holidays and go visit some pirates for New Year. Seems like a perfect opportunity to catch up with tentacle-fighters while also doing some lazy blogging. 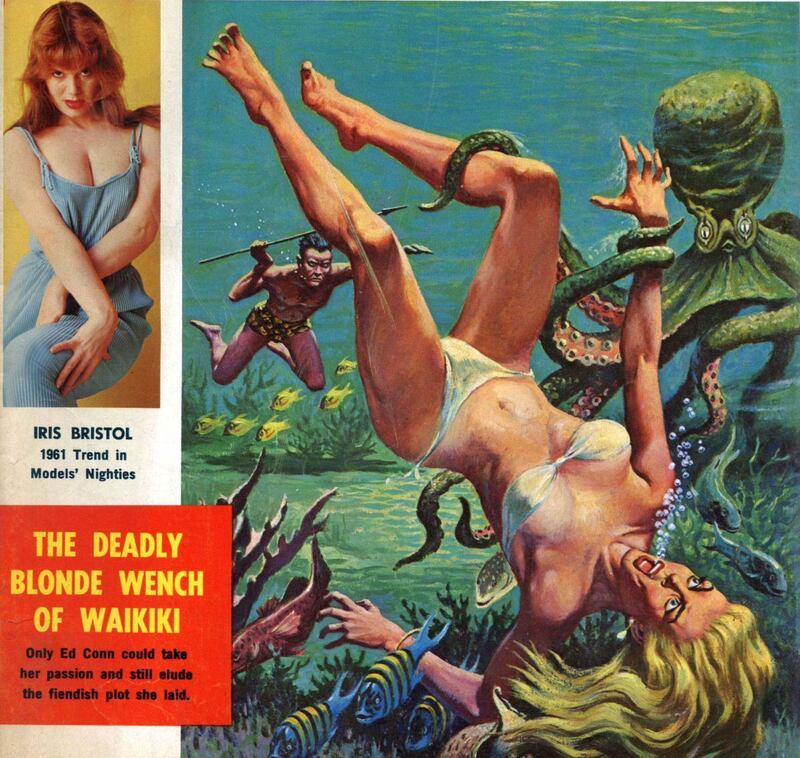 And since I'll be at Blackbeard's hideout for part of that time, kicking this off with a Richard Sala Pirate Girl Hating Cephalopods seems like a perfect thing to do too. Taking the day off to go visiting with some friends. Guess who's coming to your rooftop tonight? If you'd like to read the story that goes with that cover, Four-Color Shadows has you hooked up. Eureka’s Christmas Classics anthology (Volume 19 in their excellent Graphic Classics series) lives up to its name by including comics and illustrated adaptations of other Christmas stories and poems like “A Visit from St Nicholas” and the Sherlock Holmes holiday classic, “The Adventure of the Blue Carbuncle.” It’s a great collection and I wish I was here to give it a full review, but let’s just focus on its lead (and cover) story. Unlike the other comics adaptations we’ve looked at, Alex Burrows and Micah Farritor’s adaptation doesn’t spend any time on Marley up front. 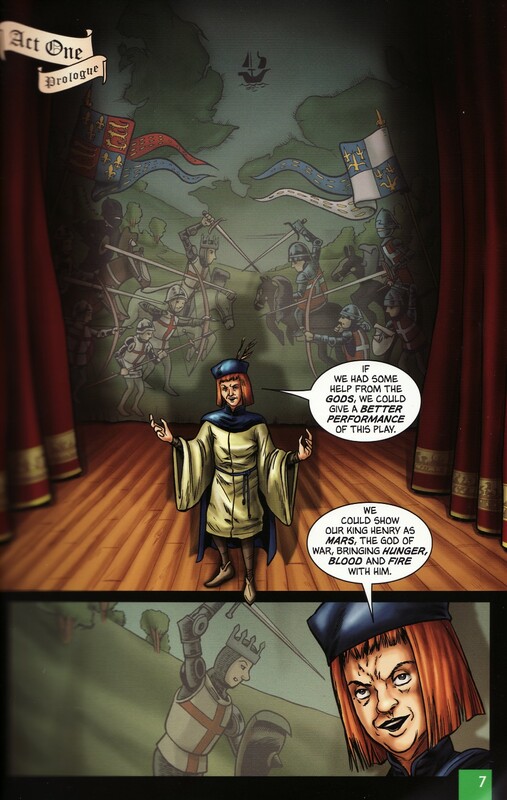 In fact, the scene we’re covering this year is done in three, dialogue-free panels over a page-and-a-half. The first page is a splash with an icy Victorian street. We know it’s cold because all the buildings have icicles hanging from them and we can see the breath of everyone on the street, but there’s no snow. And though text explains that it’s “The City of London, Christmas Eve, 1843,” there are no decorations to give the scene that feel. Except for the gray sky, the color palette is all brown, orange, and yellow, giving the street a rich, warm feel, but not exactly festive. I’m reminded of the gloomy opening of the 1935 film. We’re told it’s Christmas, but no one’s feeling it. This isn’t that kind of story. At least not at first. The first panel on page two continues the mood. It’s another street scene, but more faces are in the foreground and it’s clear that no one’s happy. In fact, they look nervous and paranoid. There’s no clear reason for their fear, but the next panel takes us inside one of the buildings where an elderly man and his clerk sit, working silently. The dialogue will begin in the next panel when someone intrudes on their solitude, but for now that’s all we have. Burrows and Farritor could be counting on readers’ familiarity with the story, but we’ve seen from a couple of other adaptations that it’s a reasonable choice to allow Scrooge’s personality and Marley’s death to come out in later dialogue. Scrooge and Cratchit’s coal argument is fun, but it’s not necessary to the sense of Scrooge as a despicable tightwad. That will come out shortly enough. 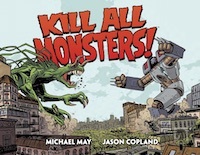 I might suspect that Burrows and Farritor trim this scene way down to save room, but this adaptation is 46 pages, about the same lenght as both Classics Illustrated and Marvel’s versions, give or take a page or two. Since those both take a couple of pages for the prologue, this version’s choice feels deliberate. It’s not as concerned with giving the reader the vicarious experience of reading Dickens as it is finding a new way to tell the story. Which is what I’ve come to expect from the Graphic Classics series. 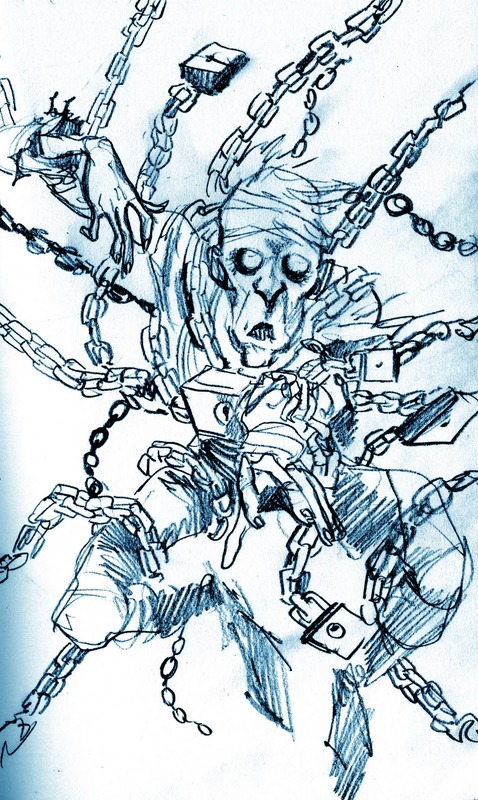 This entry wraps up our 21 different adaptations of the first scene of A Christmas Carol. I hope it was fun, because I enjoyed doing it and am already looking forward to next year and the visit of Scrooge’s nephew. Hope everyone has a Merry Christmas if you celebrate it. 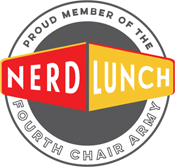 Starting Monday, we'll do something different for a couple of weeks. Only one more sleep 'til Christmas! Read the rest at Wondermark and if you like that, check out the other Wondermark holiday strips over the years. I’m not fond of the art in Campfire’s line of adaptations and the first page of A Christmas Carol is a good example of the problem. Scott McCullar is the writer responsible for adapting the novel and he does a nice job with the opening scene. There’s a splash-page prologue with Scrooge standing in profile and Marley’s burial going on in the background behind him. 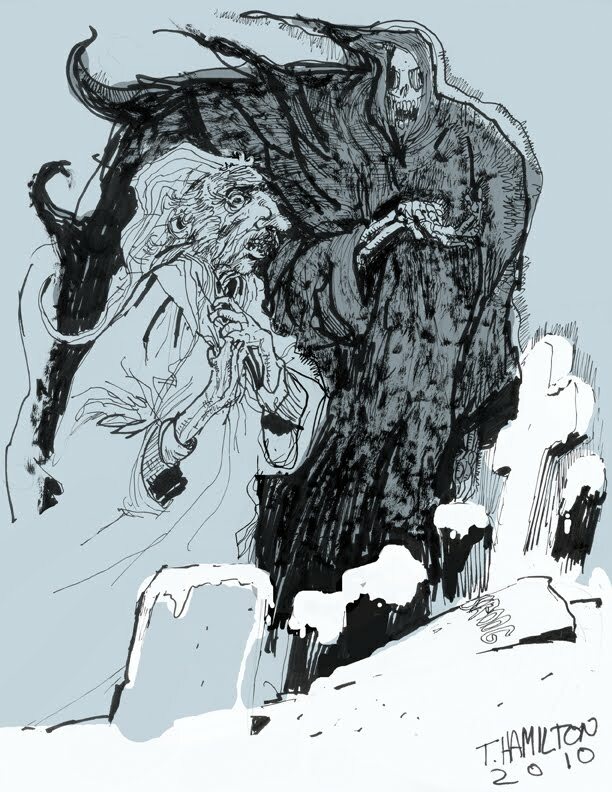 Unfortunately, it’s impossible to tell from Naresh Kumar’s art if these are two different images or if Scrooge is attending the burial but is stand-offish about it. The text reveals that though Scrooge was Marley’s sole executor, friend, mourner, etc., he “was not so dreadfully upset by the sad event. Instead, he continued with business as usual on the very day of the funeral…on Christmas Eve.” Scrooge could be attending the funeral, but standing back from it, eager to get on to business. Or he could be out conducting business with the shadow of the simultaneous funeral looming behind him. The introduction to Scrooge’s personality continues on the second page where we’re informed about the sign. McCullar’s text follows Dickens’ closely, but he’ll occasionally modernize the language or tone down its Victorian sound. He loses a lot of the humor that way, but not all. And it’s obvious that he intended for some of that to be picked up again in the art. For instance, McCullar doesn’t use the line about blind men’s dogs, but he wrote in a panel where a dog is in fact pulling its blind owner away from Scrooge. It’s not as funny as it could be because the dog’s overly intense eyes make it look like it’s chasing a squirrel instead of trying to get away from the main character, but I can see what McCullar was trying to accomplish. The sign itself at first appears to be another problem, but there’s a way of reading it that could say something purposeful about Scrooge. Though the text explains that Scrooge didn’t paint out Marley’s name, the art makes it look like he’s tried to do just that. 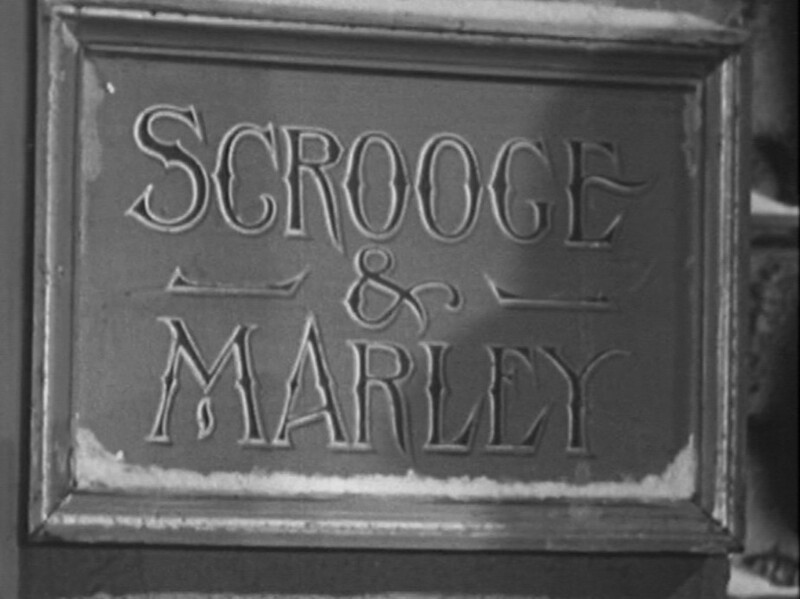 Scrooge’s name on the sign is bold and black; Marley’s is splotchy with the sign’s background color breaking up the black of the letters. Either it’s been half-heartedly painted over or it’s faded in a way that Scrooge’s hasn’t. Since the first option directly contradicts the text, it must be that Marley’s name has faded. But then why hasn’t Scrooge’s? In most adaptations, Scrooge and Marley’s names prosper or suffer together, but here it looks like Scrooge has spent some money upkeeping his side of the sign. I don’t remember if I noticed this before, but Dickens never explicitly states that Scrooge kept Marley’s name as a way of saving money. That can be implied from the rest of Scrooge’s character, but all Dickens actually says is that Scrooge kept the name of the firm intact. Could he be proud enough that he wants his name legible? It’s impossible to tell from these couple of pages, but Kumar does draw Scrooge as tall and straight. He has a weak chin, but a strong mouth and piercing, intelligent eyes. If those traits are intentional, we’re seeing a haughty Scrooge in line with Alastair Sim and George C Scott’s. By the bottom of Page 2, Scrooge is in the counting-house watching his clerk, who appears to be wearing some kind of half-blanket against the cold. The blanket disappears in the next panel where the clerk appears to be opening the coal scuttle. The text mentions that it’s cold and that the fires are small, but says nothing about the clerk’s wanting more coal. I imagine that Scrooge is meant to be glaring at the clerk as he goes for the scuttle. That would fit what McCullar tried to do with the dog earlier; letting the art tell significant parts of the story. In fact, the next panel has the clerk back at his desk, warming his hands at his candle, so this quick interaction between Scrooge and the clerk could have been clever and funny had the art been up to it. Unfortunately, like with the dog, the art doesn’t do its share. Rather than glaring at his clerk, Scrooge simply appears to be engrossed in his work, so as far as we can tell the clerk got some coal (actually, you have to know already that that’s a scuttle he’s dipping into; you can’t tell otherwise) and then went back to his candle. It doesn’t make any sense. The cheerful music turns sinister as the page quickly flips to reveal a woodcut of a dead man’s face; the jaw is tied shut with a kerchief and coins cover the eyes. As the woodcut morphs into the CGI corpse, it’s apparent that this version is following a similar tactic to Patrick Stewart’s by beginning at Marley’s death. Jim Carrey’s performance as Scrooge is another thing the film gets right. He plays several characters in the movie and doesn’t do as well with any of the others, but Scrooge’s design and Carrey’s talent help disguise him in the lead role. Like Stewart, there’s sadness in Carrey’s eyes as he pronounces his friend dead. Unfortunately, the script doesn't support him very well. Pronouncing Marley dead isn’t really Scrooge's job, but for the purposes of the story we’re supposed to know that he knows Marley’s dead, so this is them getting that communicated. It’s a clunky way to do it though. On the other hand, Scrooge’s look is another positive. It's sufficiently exaggerated and cartoonish that he doesn’t fall into the Uncanny Valley. He has a long, hooked nose and a pointed chin. There are unfortunate hairs on his nose to match the stubble on his blotchy face and the hair on his head is long and stringy. This is an ugly man, outside and in. Carrey accentuates that by playing him as having pulled completely inward. He doesn’t appear to care anymore what people think of him. Unfortunately, most of the other characters aren’t just residents of the Uncanny Valley; they’re proud patriots of it. As soon as we see the undertaker and his apprentice, we’re reminded that this is the same filmmaker who brought us The Polar Express and Beowulf. Scrooge signs the death certificate, but this isn’t a funeral. There’s no priest and no church; just Scrooge conducting business at the undertaker’s shop. Conducting it reluctantly too. He scowls at the undertaker when the man asks for payment and acts like a spoiled child being asked to surrender a toy to a playmate. It’s a funny bit of stinginess; not over the top like Scrooge McDuck’s, but I smiled. And I chuckled out loud when Scrooge then steals the coins from Marley’s eyes before the apprentice can seal the coffin. On the street outside, Scrooge looks even more cartoonish. He’s impossibly thin, which works for him. He’s very much the stereotypical Scrooge, hunched and miserable with a perpetual, lonely glower. He doesn’t look sad about his partner’s death, but he does appear to be thinking. Probably about how he wants people on the street to leave him alone. He pushes through couples and when confronted with a group of carolers he stands and glares at them until they self-consciously give up their song. He grumbles about a couple of “delinquents” sliding behind a carriage (I mentioned all the sliding in these movies earlier, right?) and there’s a great instance of a blind man’s dog dragging its owner into an alley to escape Scrooge. As this goes on, music begins (an arrangement of “Good King Wenceslas”) and we get Jim Carrey’s name and the title of the movie before the camera lifts and takes us over the rooftops for a continuous shot that lasts the rest of the credits. St Paul’s makes its traditional appearance. It’s an impressive sequence, making full use of the animation to take us inside buildings for peeks at holiday preparations or down alleys for a look at the city’s less fortunate residents. When the shot is from up high, it looks real enough that I forget I’m watching a fancy cartoon and marvel for a minute at the continuous shot and the camera’s ability to fly through the middle of a wreath. But then I see the people again and remember. The sequence ends back on the street where Scrooge is scaring a couple of kids before entering his counting-house. The shot moves to the Scrooge & Marley sign that – again like Stewart’s – ages before our eyes. Still in its continuous shot, the camera moves down to Scrooge’s window and a caption reveals that it’s seven Christmas Eves later. 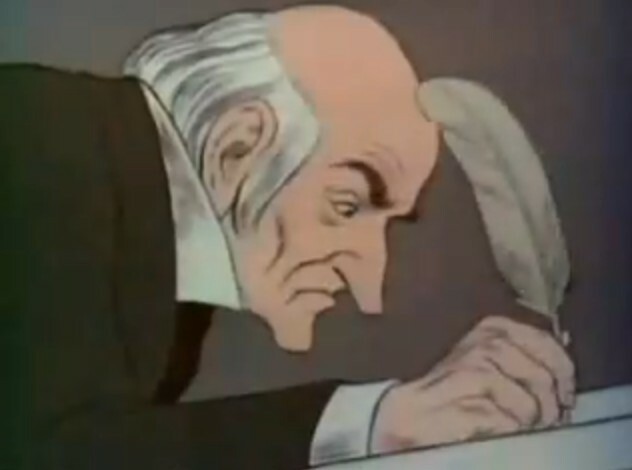 The film then cuts inside where Scrooge isn’t so much counting money as he is playing with it. Not merrily or anything; he’s just moving it around, picking it up, and holding it with the same sour expression that he’s had so far. In the adjoining office the clerk is trying to warm his hands on his candle. He’s breathing heavily like you do when you’re freezing and you can see his breath. He takes a look at the padlocked coal scuttle and then the keys on Scrooge’s desk, but a glare from Scrooge stops him before he can even get up to try anything. It’s at this point that the door creaks open. From Scott C's Great Showdowns series. 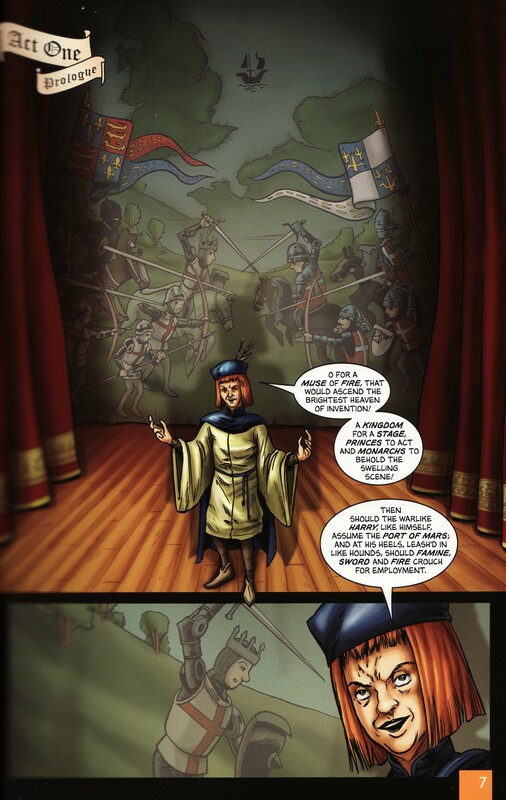 Classical Comics has a cool format for their adaptations of classic literature. They publish a couple of versions of the same story with the same art, but different text depending on your preference. For example, if you want to read Henry V, you can get the Original Text, the Plain Text, or the Quick Text. 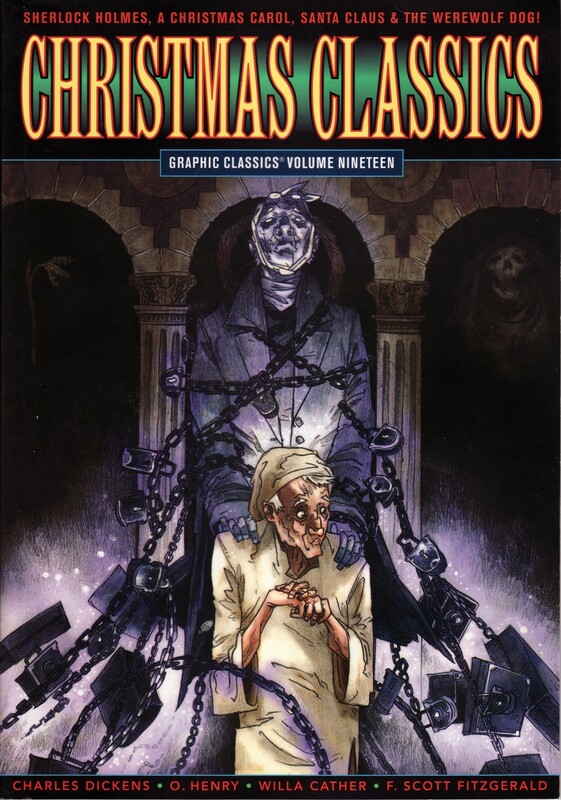 I'm usually an Original Text kind of guy, so that's what I picked up for A Christmas Carol: The Graphic Novel, but there's also a Quick Text version that I'd love to see because I'm almost as interested in what gets cut out of these things as how the material is handled that's left in. Oh, well. Classical skips the Plain Text version for this story, presumably because Dickens' English isn't as challenging to modern readers as Shakespeare's. 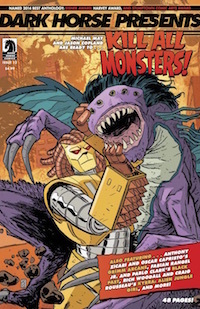 Like the Marvel adaptation, the Classical version (scripted by Sean Michael Wilson and illustrated by Mike Collins) begins with Marley's grave, but because it's a 160-page graphic novel, it has room to spend a whole page on it. Unlike Marvel's, this version doesn't open on the funeral, but with various shots of the church and its graveyard, ending with Marley's tombstone. As the text moves to talking about Scrooge, there are several details of the old man interrupted once by the famous Scrooge & Marley sign at the appropriate place. Prolonging the drama of Scrooge's full appearance, we follow him towards the counting-house with him in silhouette and watch his hand unlock the door to his place. I like how when he goes inside, a dog pulls its blind owner across the street, illustrating one of my favorite passages in Dickens' portrait of the character. Though this is the Original Text version, it is abridged. Dickens' comparison of his ghost story to Hamlet is the first thing I miss. That's disappointing. If they're going to cut that, then why not also cut some of the other text that's made redundant by the illustrations? At least the art doesn't contradict the text in this one. There's a splash page of the exterior of the counting-house as the text tells us what night it is and describes the weather, but it's nice to see that - unlike Marvel's - it really is cold, bleak, and biting out. Inside, we don't see the clerk's fire. The text describes it and lets our imaginations figure out what it looks like. I like that. The clerk stays seated through the description, holding his hands near the candle flame in one panel. We finally get a good look at Scrooge and do get to see his fire. It's small and hardly warming, but we can easily imagine a smaller one at Cratchit's desk. Nice job. Another abridgment though is Dickens' line about Scrooge's predicting "that it would be necessary for [he and the clerk] to part." We're just told that Scrooge keeps the coal-box in his room and that appears to be all the discouragement the clerk needs. Scrooge is drawn traditionally with a bald head on top and longish, white hair in back. He's thin and hunched over as he works. He looks angry, but he could just be concentrating. It's hard to get a sense of him through the art, but we've already had Dickens' description in the text, so maybe that's not so important. 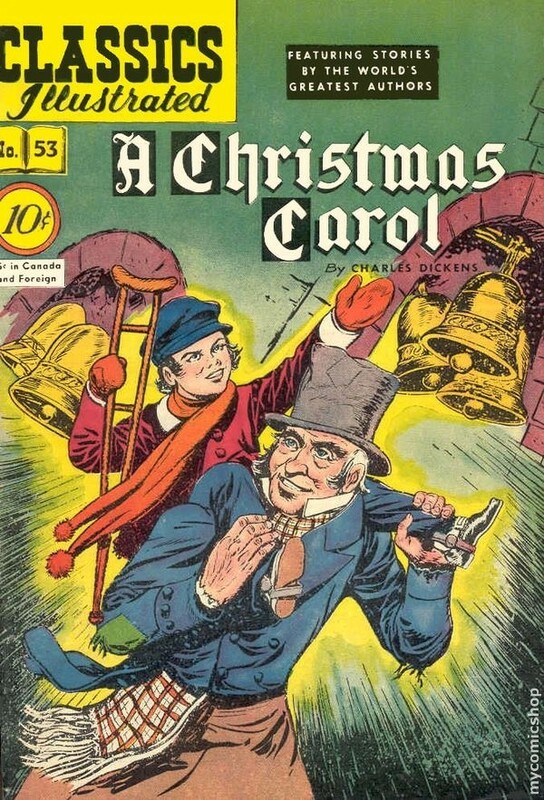 It takes A Christmas Carol: The Graphic Novel five pages to do what Classics Illustrated and Marvel needed only a couple. That's because Classical is committed to using more of Dickens' text, but I'm not sure it's a great choice. A lot of the illustrations in Classical's feel like unnecessary padding in order to give the text time to catch up. Though Marvel in particular also errs in using text that it doesn't need to, it does that far less than Classical and moves a lot faster. I'm not even sure how much Classical's Quick Text version would improve the pace because they use the same art for both versions. I guess your eye would move through the panels faster without so much text to read, but there would still be a lot of unneeded panels. It's not a long or true enough adaptation to add it to my list, but "A Christmas Story, or What the Dickens?" 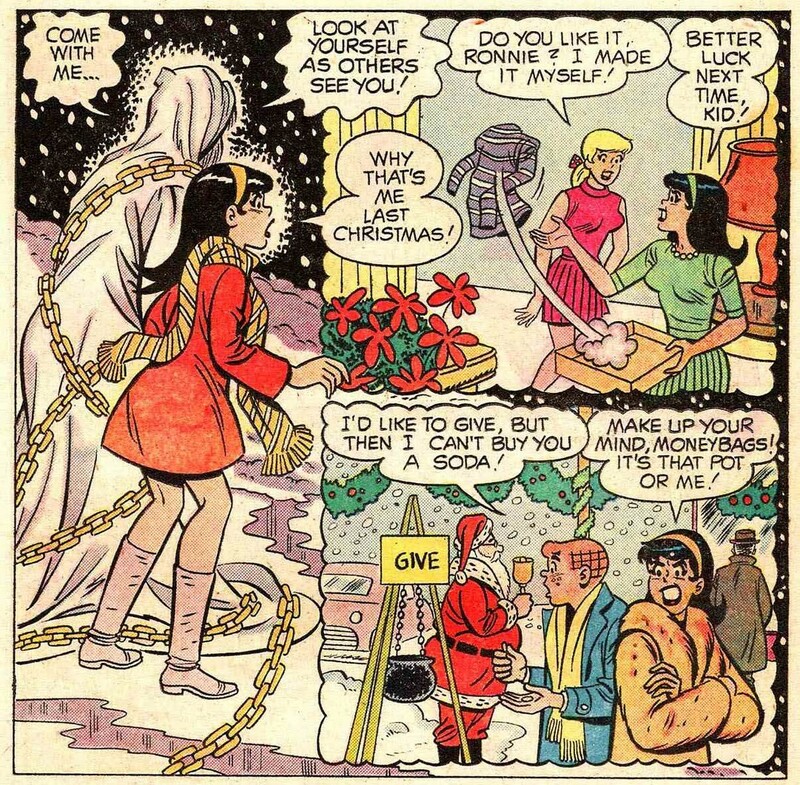 from Archie's Christmas Love-In is a fun, if predictable take on the story. Read the whole thing at Diversions of the Groovy Kind. Patrick Stewart's version opens differently from any other I've seen. There's no London; there's not even any Christmas. It begins in the country with a hearse transporting a coffin on a dreary, sleet-filled day. The credits begin immediately and the film cuts to the two men walking behind the hearse. They're both unidentified at first, but one of them's played by Patrick Stewart, so...you know. He looks appropriately serious, but is that a hint of sadness in his eyes? They reach a country church where other men wait. It's an austere bunch though; not like mourners at all. As the coffin is lowered into the ground, the name Jacob Marley can be seen on it as well as the years he lived: 1783 to 1836. It's cool that the story's told visually rather than through a narrator. The priest is extremely formal as he officiates the burial. His opening remarks are appropriate too. "Man that is born of woman has but a short time to live and is full of misery." This is a miserable funeral on a miserable day for a miserable man. The priest continues, but his voice fades out as we get another good look at Patrick Stewart's still-unidentified character. 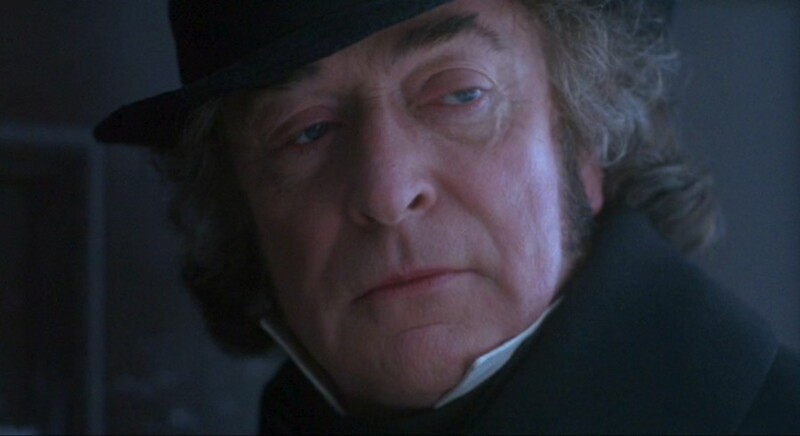 His face - surprisingly, if you know he's Scrooge - is struggling with emotion. He wants to be stoic, but there's a quiver to his frown and he wobbles a little from side to side; unsteady on his feet. As the priest's voice completely disappears, the action moves inside the church where Stewart is signing his name, Ebenezer Scrooge next to Marley's on the death register. This is something Dickens mentions in order to assure us of Marley's death in the book, but it's the only time I've seen it actually portrayed. Again, more showing instead of telling. Very nice. Scrooge has a conversation with the priest and the other man who was walking behind the hearse, a fellow named Crump whose reason for being there is a mystery at first. The conversation is mostly small talk about Marley's being gone. Scrooge utters the line about being "dead as a doornail" and Crump wonders whether a doornail is actually "the deadest piece of ironmongery in the trade." Departing from Dickens' thoughts on the subject (he liked the coffin-nail), Crump asks, "Why not a doorknocker?" foreshadowing Marley's appearance later. Scrooge has apparently collected himself and is very practical. "Jacob's gone, and there's an end to it," he says. Well, maybe not so practical. He does call his old friend by his first name. There's some additional discussion about the turnout. Crump notices that it's very poor for such an important businessman. The priest speculates that it's because it's Christmas Eve, but Scrooge seems genuinely confused by that. He also says that it was a grace that Marley was spared having to deal with grieving relatives at his bedside. During this, I suspect that Scrooge's practicality is actually the anger of grief. His brow is furrowed and his frown is pronounced, especially at the mention of Christmas as being any kind of a special day. After a glass of wine, the priest tells Scrooge that he and Crump will leave Scrooge to grieve in silence. So Crump is apparently the undertaker and not an acquaintance of Scrooge's. Again, I like how this is left for the audience to figure out instead of revealing it through exposition. Left alone, Scrooge stares at the register and tells Jacob that "the firm of Scrooge and Marley will miss your shrewd brain and keen eye," hinting that Scrooge's keeping Marley's name on the sign will be as much emotional attachment as thrift. He talks about the hard times the two of them have seen, pulling through and thriving "on the idleness of others." And he promises to keep the firm going and prosperous. The film next cuts to the London skyline (no Saint Paul's, though) and in a shot similar to The Muppets Christmas Carol the camera pans down until we can see people hanging mistletoe through their windows and on down into the busy street where Scrooge walks amongst the hubbub. There's not a lot of the typical Christmas activity yet though. Children play in the streets, but there are no chestnut vendors or greenery on the shops. No one's wishing anyone a Merry Christmas. Scrooge is very tall and erect, made even more so by his large top hat. He's neither powerful nor hunched over and miserable. He's just solitary. People don't scurry out of his way in fear like they do in other adaptations. They ignore him. And he ignores them too. It's a very lonely scene. Eventually we start to see some geese hanging in windows and hear some holiday wishes. A few people even wish Scrooge a Merry Christmas, but he ignores them. When he reaches his shop, his clerk wishes him a good afternoon and helps him off with his coat. There's something in the way his clerk says, "Good afternoon" though. It's very gentle. Not fearful at all; just quiet. Almost concerned. Scrooge just grunts in return. A pitiful sound. Outside, the "Scrooge & Marley" sign goes through a transformation, showing the passage of time. Those familiar with the story would be excused for thinking that the seven years passed between the funeral and London, but that's not so. They're passing now, as we watch. That explains the clerk's gentle concern too; Scrooge was returning from the funeral. As the camera stays on the now-rusted sign (we can barely see Marley's name anymore), we get the last of the credits. The window of the shop is now incredibly dirty too. At first I thought it was soot from the street, but Scrooge's clerk is able to clean some of it off from the inside. The business - at least the appearance of it - is suffering from neglect. Scrooge clears his throat at his clerk, putting a stop to the impromptu cleaning. The clerk reveals that he was looking at the sign and wonders aloud that if after seven years Scrooge will be removing Mr. Marley's name from it. That's a little weird for him to ask when he's been employed there for all of those seven years. Is this an annual request? Why pick now to ask it, other than to inform the audience about how much time has passed? It's a bit disappointing after the careful avoidance of exposition so far. At any rate, Scrooge's response is that no, he's willing to let time continue to remove the name "at no cost to us." Which makes me realize that the shop's disrepair isn't neglect, but more likely a purposeful action on Scrooge's part to keep his promise to Marley. He wants the business to stay prosperous and keeping a close eye on expenses is one way he's going about it. It also disproves my earlier suspicion that Scrooge keeps the sign at least partially out of emotional attachment to it. There's no emotion in his face or voice as he talks casually about letting time remove Marley's name. Scrooge has apparently changed in the last seven years with the absence of his only friend. Scrooge and the clerk get to work, but the clerk soon stops and goes over to the stove. He opens the coal scuttle and Scrooge stops him with a look. The clerk explains that the fire's going out, so Scrooge orders him to "Poke it, sir! Poke it!" The clerk does so and goes back to work, trying to keep his hands warm on his little candle flame. But Scrooge puts a stop to that with another glare. The clerk is still quiet around Scrooge, but there's fear now too. Scrooge has become even more solitary since Marley's death. It's doubtful that his relationship with his clerk could ever have been characterized as warm, but now it's downright miserable. Someone nice at Rubik's Cube asked me to consider sharing this. I laughed out loud at least once and appreciate who gets to be the hero, so here it is. The Muppet Christmas Carol opens with an overture of the music it'll feature throughout the movie, but there are some sleigh bells early on - and of course the name of the movie - to put you in the holiday spirit. It also, like so many of the other adaptations, starts with the London skyline, including Saint Paul's cathedral off in the distance. As the credits and the orchestra play, the camera pulls back farther and farther, but instead of revealing the expanse of the old city it stays low over the rooftops, creating intimacy with the place. As the camera skims over buildings, barely clearing some of them, it creates a mystery about what's going on inside or in the street below. Finally, the shot pulls down next to a roof and pans enough to reveal the street. It's a Christmas scene with lots of Victorian shoppers walking around and cheerfully greeting each other. The camera keeps panning though and on a low arch we see a small, frog-like creature eating a carrot. If you didn't already know about the Muppets, this would be your first hint that this isn't "our" London. The camera keeps moving down, getting us closer to the street, and we see a couple of pigs in Victorian clothing talking about their last meal while planning their next. (Sounds like post-dinner conversation at my parents' house, actually.) As the camera keeps moving, we notice that among London's human population a pig is driving a carriage full of talking melons, a dog throws snowballs at a frog and a chicken, and creepy monsters lurk on rooftops. All of this is apparently normal. If you do know the Muppets, the first recognizable face is Lew Zealand who's on the street hawking his boomerang fish. Near him though are Gonzo the Great and Rizzo the Rat, running an apple stand. Rizzo's making it difficult by eating most of the stock, but the two stop arguing once they notice the audience. Gonzo welcomes us to the movie and claims to be Charles Dickens, something that Rizzo finds hard to believe. They argue about this until Rizzo tells Gonzo to prove his identity by telling us the story of A Christmas Carol, something that Gonzo is happy to do. "The Marleys were dead to begin with," he says before being interrupted by Rizzo. There are a lot of interruptions in Gonzo's intro, with Rizzo playing the part of an audience unfamiliar with the story. He shivers at the creepiness of the death theme and expresses curiosity about the Marleys' surviving business partner. (We'll critique the decision to pluralize Scrooge's late partner another year.) Gonzo also identifies Scrooge's occupation for us: "a shrewd moneylender." Gonzo points him out as he comes around a corner and the music begins again. "There he is," Gonzo says. "Mr. Ebenezer Scrooge." Michael Caine's version, mostly in shadow at first, stalks London's streets with the entitlement of an English Lord and the menace of Jack the Ripper. His black cloak snaps in the wind as he passes. "Say," asks Rizzo, "is it getting colder out here?" He shivers again. Scrooge strikes the cobblestones with his cane in loud raps. He doesn't need it to walk, but it succeeds in making him look powerful and important. Between it and the tapping of his shoes, he's keeping time to the music as a couple of human-looking Muppets watch him and begin to sing. Soon, the entire neighborhood is joining in, canorously complaining about how mean and nasty Scrooge is. The song does most of the work of introducing Scrooge's personality, though Gonzo jumps in at one point with some quotes from Dickens. The song finally ends with Scrooge at his place of business, spinning towards the crowd so that we can finally see his face as he disperses the crowd with a glare. "Humbug," he says; mostly to himself. He enters the building and we linger on the sign next to the door. It still says Scrooge & Marley, but it's a nice sign. Scrooge is well-dressed too. Caine's version isn't such a miser that he's unwilling to show off a little. After some more quoting and color-commentary by Gonzo and Rizzo, we join Scrooge inside where he confronts a customer. Behind Scrooge, Kermit the Frog scribbles away with a quill. "Bob Cratchit?" says Scrooge. He looks bored by the shaking, fearful client. He points his cane in the unfortunate man's face. "Who is this?" Cratchit explains that it's Mr. Applegate here to talk about his mortgage. Kermit's Cratchit seems unaffected by Scrooge's posturing. He pauses before the word mortgage, knowing what Scrooge's response will be and not really relishing it, but for the most part he keeps scribbling away. He's seen all this before. Mr. Applegate begins to ramble on with excuses and apologies and requests not to be yelled at. Scrooge ignores him and lets him babble, going into his office to put away his cape, hat, and cane. When Scrooge is done, he says not a word, but returns to pick up Applegate - who's still explaining - and toss him into the street. During this, we see that Cratchit's not the only clerk in the business. There's also quite a large staff of rats who are considerably more nervous than Cratchit. Scrooge tells Cratchit he wants to deal with the eviction notices for tomorrow. When Cratchit complains that tomorrow is Christmas, Scrooge says, "Very well. You may gift-wrap them." The rats take the huge stack of notices and some slapstick ensues as Scrooge explains why Christmas is such a busy time for them. "People preparing feasts; giving parties; spending the mortgage money on frivolities." He's working as he says it; barely looking up. It's almost as if he's coaching Cratchit. Caine's is an arrogant Scrooge, so he obviously doesn't see Cratchit as a peer, but he does seem to think of Cratchit as a trusted employee. Or at least a valuable member of the team. "One might say that December is the Foreclosure Season." He looks up at Cratchit with an ugly smile. "Harvest time for the moneylenders." At this point the rats encourage Kermit to ask for an extra shovelful of coal for the fire. Once he's broken the ice about it they jump in and explain how cold they all are, being pretty obnoxious about it. Scrooge snaps at them and asks how they'd like to be unemployed, roaring the last word. Any tolerance he shows the competent Cratchit isn't shared with the rats. They get all the venom that most versions of the story reserve for poor Bob. When Cratchit observes, "I believe you've convinced them once again, Mr. Scrooge," Scrooge actually laughs. Partly because he's cowed the poor bookkeepers, sure, but it also looks like he's genuinely amused by Cratchit's dry humor. I'm not sure I want to be talking about this yet, but one of the things that's most interesting to track from adaptation to adaptation is Scrooge's transformation. We've already started to notice the differences in portrayals of Scrooge's misery and I suspect that how Scrooge is introduced will affect the point at which he begins to change. I don't want to make any predictions yet except to notice that Caine's Scrooge - while in no way kind - starts with a bit of a leg up on the others thanks to his relative softness towards Cratchit. Having noticed this, I'd expect this Scrooge's biggest change to occur when he finally sees Cratchit's family. But it'll be a while before we see if I'm right. I guess this is as good a time as any to mention that while this isn't one of my favorite Muppet movies, it is a solid Christmas Carol adaptation. A lot of it is played for laughs of course, but the essence of the story doesn't change and the movie makes some interesting choices to talk about. Cratchit is obviously more competent because he's being played by Kermit who always provides that kind of calmness in the midst of chaos, but it's also a legitimate way of interpreting the character. Such a fascinating contrast with David Warner's Cratchit from yesterday. George C. Scott's version of A Christmas Carol opens not with a Christmas theme at all. There's a snowy, bustling, London street, but it's very foggy and there aren't enough decorations to immediately know it's Christmastime. The music is also ominous and we quickly focus on a horse-drawn hearse transporting a coffin. The people in the street move aside to let it pass and the men take off their hats in respect. As the camera cuts to a closer shot to let us see the coffin up close, a narrator tells us, "Old Marley was as dead as a doornail. This must be distinctly understood or nothing wonderful can come of this story I am going to relate." It's a unique choice among adaptations, going for the spooky tone before introducing the Christmas elements. To hear the news the angels bring. Either way, it further prepares us for an unusual take on the story as the scene changes back to the earlier street shot - now without the hearse - and the music morphs into a triumphantly festive orchestral overture for the credits. As we read (George C. Scott's name, incidentally, comes before the title) the film cuts to traditional Christmas scenes: vendors selling hot potatoes, stores decorated with snow-trimmed greenery, children staring through windows at toy displays, and shoppers greeting each other with "Merry Christmas!" Even after the credits stop, the Christmas music and street scenes continue. Now it's a band playing another traditional-sounding tune as children listen. But pains are taken to make the scene feel realistic. As hinted at earlier by details like the obscuring fog and the potato vendor (not chestnuts? ), this version veers just enough from typical to give it an authentic flavor. It feels like real, Victorian London instead of a Hollywood version of it. Children don't just listen to the Christmas band, they blow in their hands and stamp their feet, freezing as they presumably wait for their mothers to finish shopping. There are other, great details like a young girl counting wrapped packages as they're handed to her in a carriage. There's a cart loaded with holly for sale. A poulterer pulls down a still-feathered goose for a customer, forcing us to imagine the grisly work ahead in order to get it ready to eat. A man lights his cigar on an open gas-flame. Watching all this from the window of a storefront labeled "Scrooge & Marley" is a man. We cut inside just as he turns from the scene and announces, "Seven years ago today..."
"What's that you say?" growls the voice of his unseen companion. "Mr. Marley died. Seven years ago this very day." The unseen man isn't impressed and orders his clerk back to work. Instead, the clerk heads to the fireplace and reaches for the tongs to add another piece of coal. That's when he says it. Alastair Sim will probably always be my favorite Scrooge, but George C. Scott is close behind him thanks largely to his ability to deliver those two words with such power and frustrated rage. Before we even see him, Scrooge is revealed as a man who feels put upon by the sheer incompetence of his employee. And we can't exactly fault him for it. David Warner's Cratchit is something of a goof-off: daydreaming out the window; not going immediately back to work when he's called on it. As Cratchit explains that the fire's gone cold, we finally see Scrooge. He sits at his desk and sighs, putting his hands to his temples. Cratchit's given him a headache. "Come over here, Mr. Cratchit." Cratchit dutifully walks over, seemingly clueless to what he's done. "What is this?" Scrooge asks, pulling at his cuff. "These are garments, Mr. Cratchit. Garments were invented by the human race as protection against the cold. Once purchased, they may be used indefinitely for the purpose for which they are intended. "Coal," he continues, looking at the fire, "burns. Coal is momentary. And coal is costly." Scrooge, it appears, runs a green business. "There will be no more coal burnt in this office today." There's one of two things going on here. One possibility is that we're supposed to be so familiar with these two characters that we're filling in the blanks on the interaction. Cratchit is the good guy; Scrooge is the bad guy. Poor Mr. Cratchit - as usual - gets no coal for his fire. But based on the efforts already displayed at re-interpreting the story, I think the second possibility is more likely and that the roles are - at least temporarily - reversed. Cratchit is sort of lazy; Scrooge is simply a good businessman understandably exercising his right to try to get his money's worth from his hired man. Whether or not those roles will stick for the rest of the movie is something we'll have to see, but it seems to be the starting place. This part of the scene ends with Scrooge's sending Cratchit back to work "before I am forced to conclude that your services are no longer required." Cratchit looks hurt as he obeys, but I have to admit that I don't feel completely sorry for him. Mickey's Christmas Carol lets you know you're in for a Victorian Christmas story before it even shows you the title. It opens with the classic Mickey Mouse logo, only Mickey's wearing a top hat and scarf. 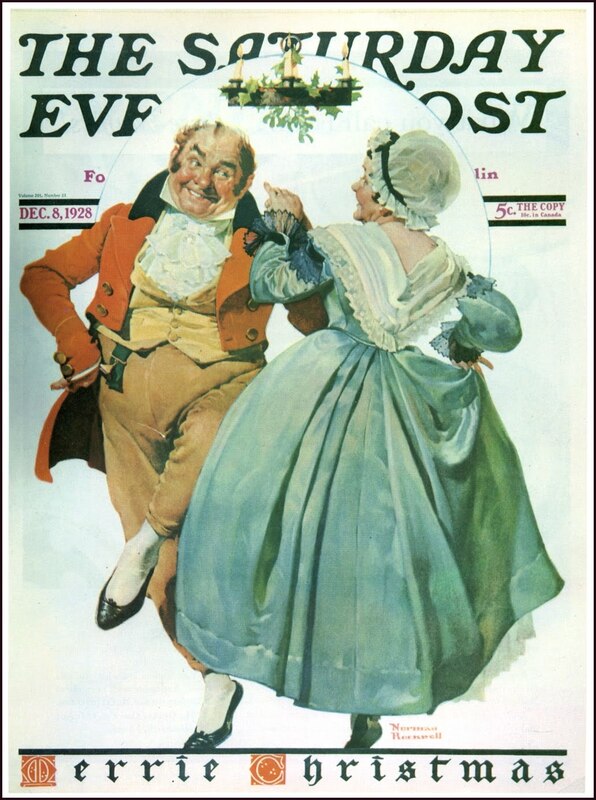 Then the title cards begin, showing sketched scenes from the movie over a brown parchment-like background and accompanied by an original song, "Oh, What a Merry Christmas Day." The final illustration is the London skyline (complete with required St. Paul's cathedral) that then morphs into the first shot of the movie. 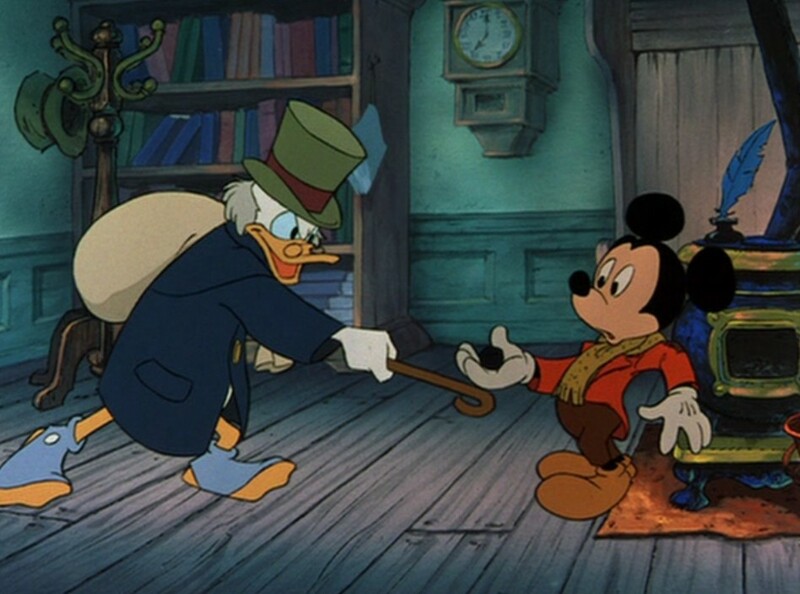 One of the coolest things about Mickey's Christmas Carol is that unlike a lot of sitcom versions where Fred Sanford or George Jefferson or Mr. Carlson are visited by spirits and learn Scrooge's lesson for themselves, Mickey's version doesn't have - say - Donald Duck learning to be less grumpy at Christmastime. It's a legitimate adaptation and everyone stays in character for the whole thing. We get our first hint of this as the camera pans down to a busy street where the Three Little Pigs carol next to a bell-ringing, Santa-costumed Big Bad Wolf with a collection kettle. This obviously isn't just a Victorian Christmas version of whatever world the Disney characters live in. These classic characters are playing other characters. Scrooge McDuck stomps through the scene, intent on getting wherever he's going with as little human contact as possible. When he's asked by a homeless dog to give a penny for the poor, he lifts his cane and scowls, "Bah!" 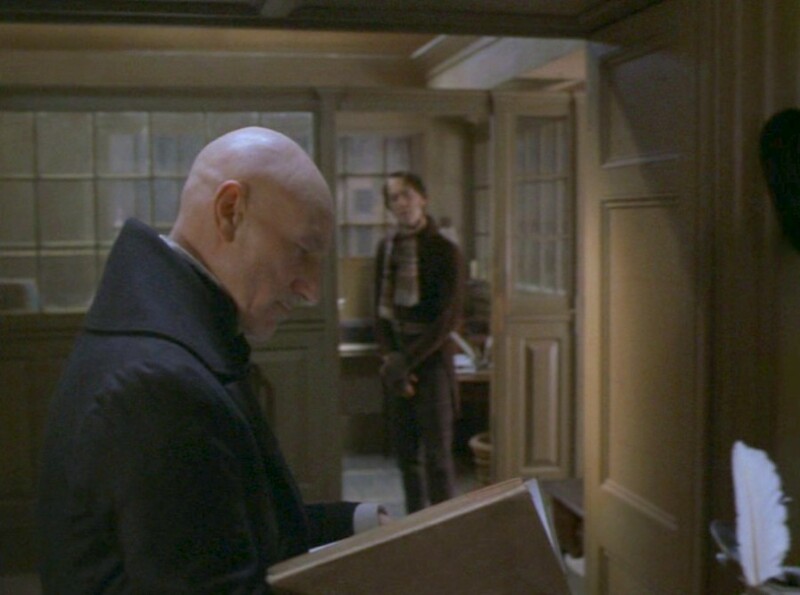 He reaches his office where the Scrooge & Marley sign hangs, though "Marley" is scratched out. No expensive paint; just a cheap scrawling-through with a knife. This Scrooge is still cheap, but proud enough not to want folks confusing him with his dead partner. He pauses to look at the sign and lets us know why Marley's no longer around: "dead seven years today." Scrooge also reminisces with a chuckle that Marley "was a good 'un. He robbed from the widows and swindled the poor." Though a legitimate adaptation, Mickey's Christmas Carol isn't a serious one. Scrooge's greediness is over-the-top and played largely for laughs. He's not a miserable Scrooge; he enjoys being miserly. As another example, we learn that Marley's will left enough money for a tombstone, but Scrooge pocketed that and had Marley buried at sea. Inside the office, Scrooge catches his clerk (Mickey Mouse) about to put a piece of coal in the stove. Unlike the other adaptations, we learn right away that the clerk's name is Cratchit. He claims he was just trying to thaw out the ink, and sure enough there's an inkpot on the stovetop with an ice-covered quill stuck in the frozen liquid. Scrooge is having no excuses though ("You used a piece last week!") and orders the clerk back to work. As Cratchit goes back to his desk, he musters courage to ask for a half-day off for Christmas tomorrow. Mickey's Christmas Carol is a severely condensed version of the story and this is the first example of that. In Dickens' story (and most of the adaptations), this conversation doesn't happen until later when Cratchit's getting ready to leave. The half-day is also unique to Mickey's version, but again it makes Scrooge's cheapness that much more over-the-top and ridiculous. As does Scrooge's agreeing to the time off under the condition that he'll be docking Cratchit's pay accordingly. As does Scrooge's wonderful "Talk is Cheap" needlepoint that decorates the office. As does the revelation that Cratchit's last raise was a ha'penny three years ago. When Cratchit started doing Scrooge's laundry. 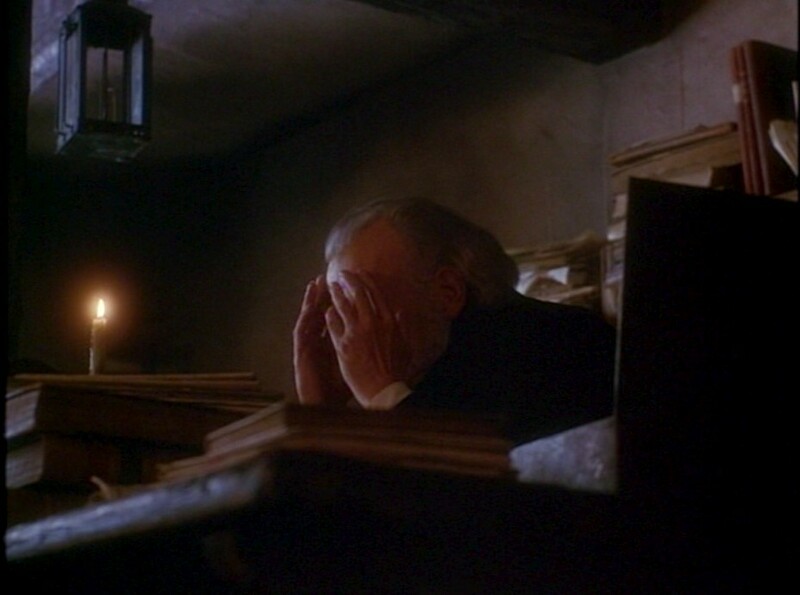 This part of the scene ends with Scrooge's going to his desk to look over the books. In typical McDuck fashion, he ends up hugging his gold and cooing, "Money, money, money!" before the door opens to reveal a visitor. 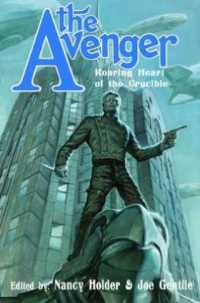 What made me think of Classics Illustrated yesterday was getting ready to talk about Marvel Classics Comics #36 from 1978. 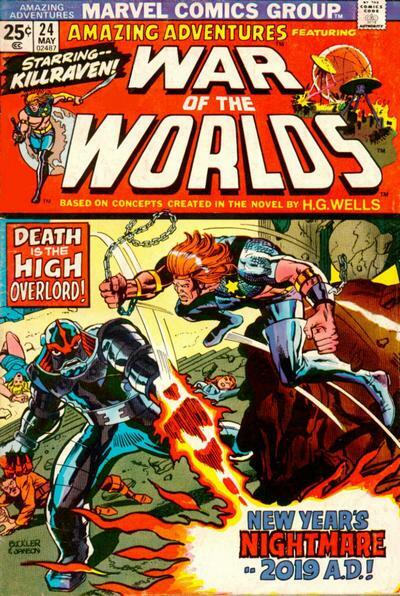 Marvel Classics was basically their version of Classics Illustrated with each issue adapting a different piece of literature from a wide variety of genres. They covered Dr. Jekyll and Mr. Hyde to Black Beauty and The Iliad. 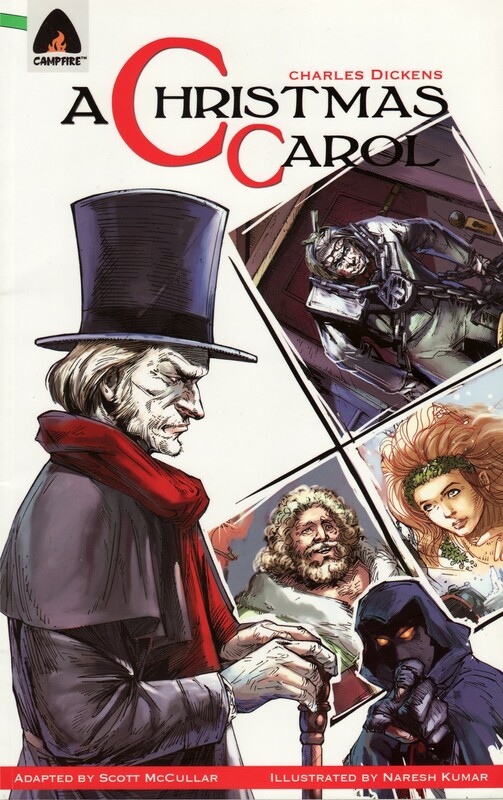 The Christmas Carol issue happens to be the last in the series, but we won't let that give us a complex. If you want to read along, Diversions of the Groovy Kind has great scans of the entire issue. The '70s were an exciting time for Marvel's readers with the publisher's exploring a bunch of new genres outside of superhero stories. But whether the genre was horror, kung fu, or blaxploitation, Marvel always managed to put a superhero twist to it. The result was heroes like Ghost Rider, Shang Chi, and Luke Cage. And while we shouldn't expect to see Scrooge crossing paths with Captain America or Man-Thing in this adaptation, I'm curious to see how much of Marvel's familiar style affects their interpretation of the story. 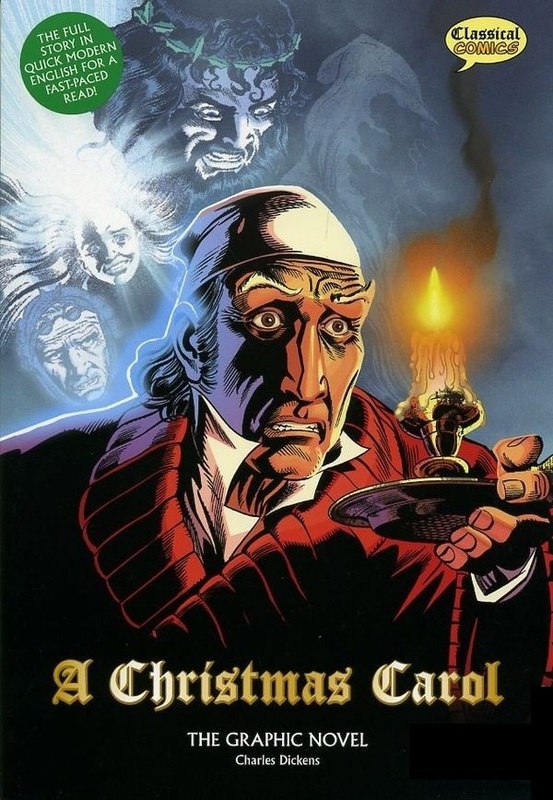 Scripted by Doug Moench and illustrated by various artists, it begins with a splash page showing Scrooge in bed; surrounded by the three Spirits. The text presents the "old sinner" description followed by the tease, "Then he met the Spirit." I'm reminded of The Stingiest Man in Town, which used a similar device to excite its presumably younger audience. The story proper starts on the following page. In the first panel, Marley's coffin is lowered into the ground (shown from inside the grave, because it's visually more exciting) as the text informs us of Marley's death and his business relationship with Scrooge. It also borrows straight from Dickens the bit about Scrooge's being Marley's sole everything. The next panel then has Scrooge leaving his counting house where "Scrooge & Marley" is clearly seen. Moench points this out in the text, adding the detail that at Marley's funeral Scrooge vowed to leave Marley's name on the sign, a scene we'll actually get to see in Patrick Stewart's version. When Stewart does it, it brings a sentimental element to Scrooge, but here it just makes him look foolish. Moench writes that Scrooge "solemnized" Marley's funeral by pledging to leave the sign alone, but since we don't get too see it, there's no reason to believe that he's serious. In the rest of the text, Moench follows Dickens' lead in mocking Scrooge, so while leaving the sign unchanged is a conscious decision of Scrooge's (in most versions, he seems to just not think about it), the only emotion attached to it is greed. Scrooge is drawn younger than usual in this version. Maybe it's a coloring error, but there's a hint of blonde in Scrooge's hair. He's certainly grumpy and serious, but instead of looking elderly, he could be in his late middle-years. I'm not sure how this could affect the characterization, but we'll keep an eye on it. The first page ends with Scrooge's walking through the streets of London as the text informs us that he's just as miserable as Marley was. A man on the street glares judgmentally at Scrooge as he passes. Page two opens with another street scene, but without Scrooge. As a result, the people look a lot happier. 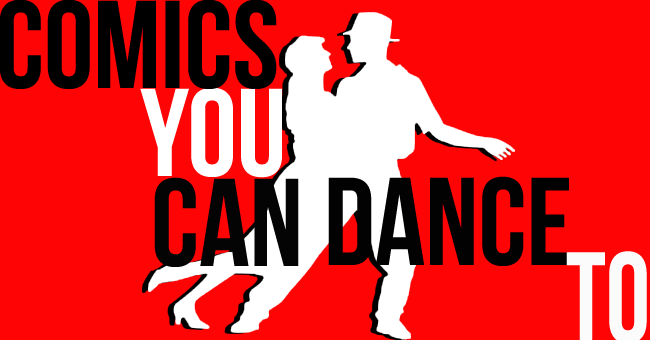 Unfortunately, the relationship between art and text gets very sloppy here. Though there are no visible decorations or any sign of snow we're told that it's Christmas Eve and that the weather is cold, bleak, and biting. We're also informed that there is fog when there isn't any. The art in the next panel matches the text better, but goes too far the other direction. 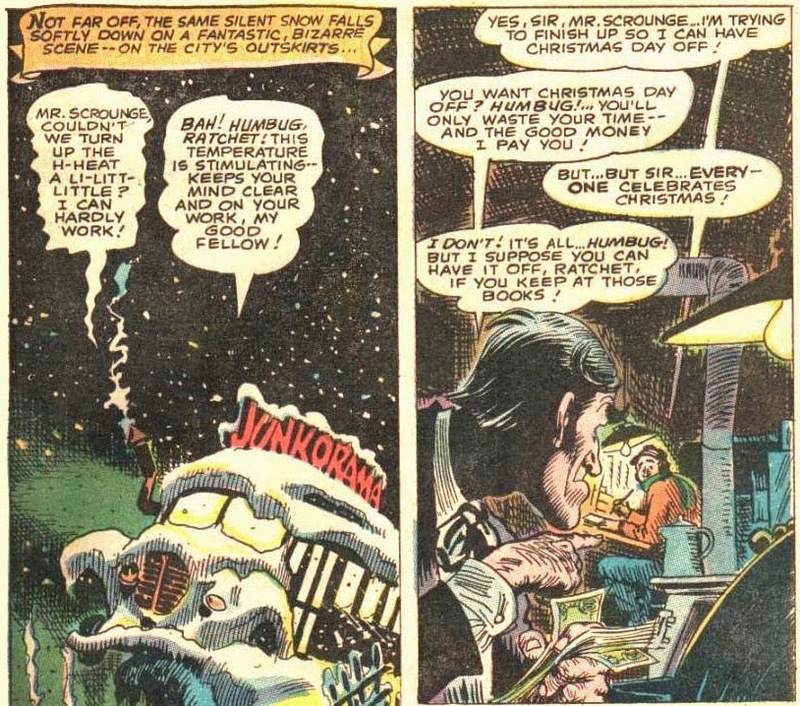 Moench lets us know that "Scrooge sat busy in his counting house" and sure enough, he is. 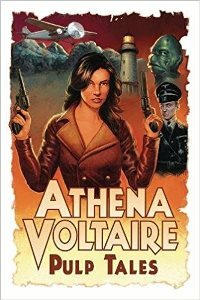 I have to remember that I'm not reviewing this for the proficiency of its storytelling, but so far, it's pretty dismal. Inside the counting house, we find Scrooge and his clerk working. There's also a quick panel of the clerk's trying to add some more coal to his fire. 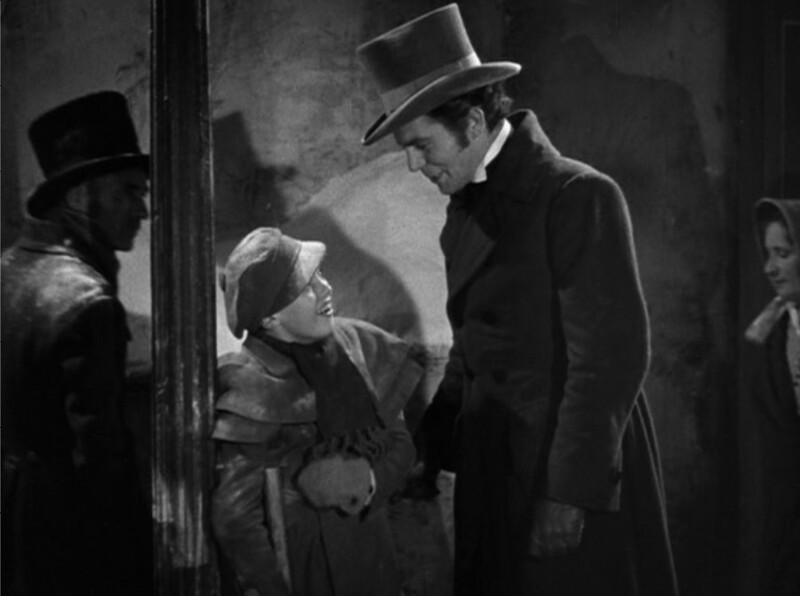 When I covered Dickens' text for this scene, I cut it off just before the coal argument, because I was trying to get just the introduction to Scrooge's character. In next year's section, Dickens goes inside the counting-house and the story actually begins, so I planned to include that with the opening scene of the nephew's arrival. Of course, movies and comics don't have the luxury of an introductory section, so they use the coal argument to show what Dickens spends several paragraphs telling us. The coal argument is often the only intro to Scrooge's personality that we get. Because of that, I should have included it in this year's discussion of the text. Next year I'll have to come back and cover some of these coal arguments again once we've had a chance to look closely at what Dickens wrote about them. I forgot one! I don't know how Classics Illustrated #53 slipped off my list, but it did and I need to come back and pick it up. It's the first of five comics adaptations we'll look at and since it's Classics Illustrated, it's arguably the most famous. 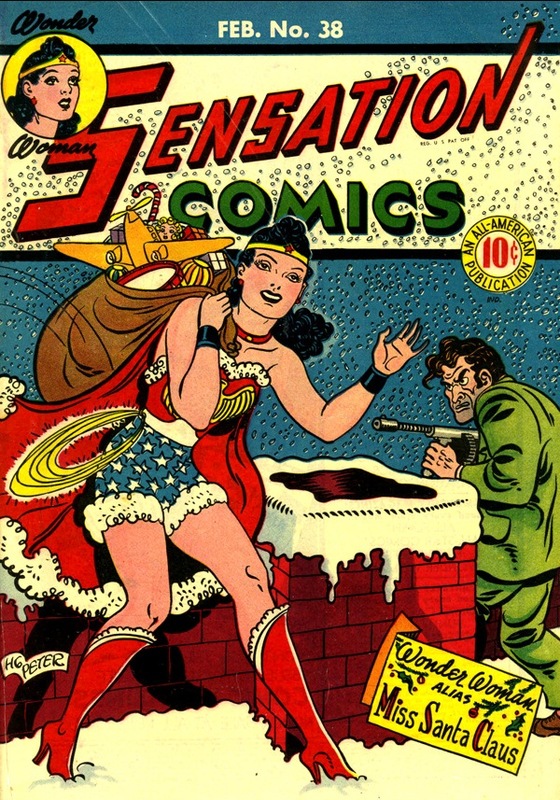 George D Lipscomb wrote the adaptation and Henry Kiefer illustrated it. If you want to read ahead, the Dickens Christmas website has the whole thing. The immortal Christmas "ghost story" portraying the hair-raising experiences of Ebenezer Scrooge, a stonyhearted old skinflint, who lives solely to satisfy his own material wants and scoffs openly at the spiritual pleasures of his fellow-men. His partner, Jacob Marley, a long time dead and buried, Scrooge carries on the business by himself, even though the sign above the warehouse still bears the legend, "Scrooge and Marley." One cold bleak and biting afternoon, the day before Christmas, finds Scrooge at work in his counting-house. One thing I've noticed is that Lipscomb introduces an overt assumption about the source of Scrooge's problem. Dickens lets us know that Scrooge is grasping and covetous, but doesn't say anything at first about why he's that way. That leaves a lot of room for interpretation by adapters and we've already noticed some differences in posture, which is really just another way of talking about Scrooge's presence. Some film Scrooge's are small and miserable men; others are imposing and proud. Lipscomb's "lives solely to satisfy his own material wants," which puts him more in the "proud" category. What's more, it means that Scrooge isn't a true miser. It's going to be interesting to see how various interpretations mix and match these traits: pride vs misery; material indulgence vs extreme frugality. Scrooge is famous for being a miser, but do all adaptations portray him that way? Something to keep an eye on. Kiefer's Scrooge looks like he should be introducing Tales of the Crypt. He berates the clerk for his age twice on the page; something that I've never seen in the character before. This Scrooge openly delights in his money, but envies youth. That's another strong motivation for him to be the way he is. And, I extrapolate, a strong motivation for him to change in the end. He doesn't have much time left to enjoy his wealth and resents it. The Spirits will reveal to him a way to get pleasure that also offers a purpose. 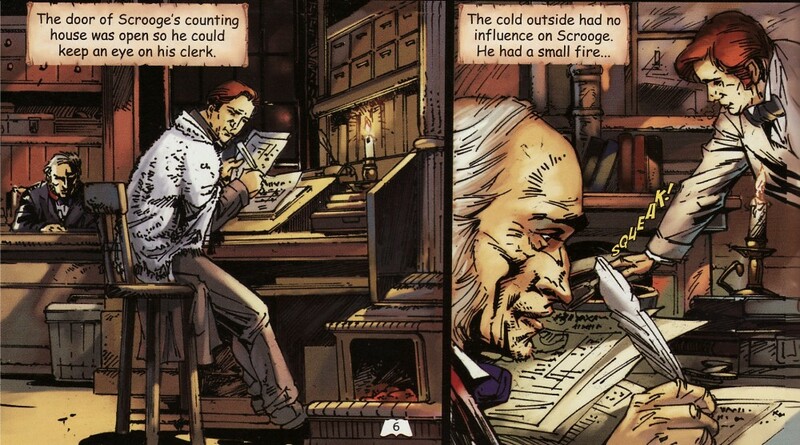 In the first panel of page three, the clerk returns to his desk to warm his hands on his candle and mutter about Scrooge. This clerk shows a cynical side that we don't see in other versions. He calls Scrooge an "old miser" (which is understandable given the circumstances even if it's not technically correct) and says that if he didn't have a family to think of, he'd leave Scrooge and "his wormy old books." These thoughts are interrupted by a sudden visitor to the counting-house. In the '70s, there was no competing with Rankin-Bass for televised animation, whether hand-drawn or stop-motion. They were everywhere: from Christmas specials like Rudolph and Santa Claus is Coming to Town to classic literature like The Hobbit and their Festival of Family Classics series. So, it didn't shock me to learn that they also had their turn at A Christmas Carol. Their casting of Walter Matthau as Scrooge was a bit of a surprise though. Rankin-Bass' wasn't the first to be called The Stingiest Man in Town. It borrows its name from a musical TV version that starred Basil Rathbone as Scrooge (which I'm gonna have to get and watch now). I don't know how Rathbone's goes yet, but the cartoon opens in the traditional, Christmas Carol way with snow falling over the Victorian London skyline. You can recognize St. Paul's of course, but Big Ben is also there to clue you in, especially if you're a younger viewer. It should be interesting to compare this with Mickey's Christmas Carol. As with Shower of Stars and the Chuck Jones version, it'll be interesting to watch the cuts and see how they keep The Stingiest Man in Town short enough for TV (though this was an hour-long special, so they have more room than some of the others). I'm especially interested though in seeing how Rankin-Bass' version is different from Disney's, the only other animation studio putting stuff out with anywhere near the frequency and popularity of Rankin-Bass at the time. I'm very familiar with Disney's version and know that since its primary purpose was to entertain, they took some major liberties with the story. Rankin-Bass's adaptations of classics took liberties too and certainly sought to be entertaining, but they also had an educational component to them. Or maybe I'm mistaking schmaltz for a serious side. Either way, that should create a very different feel from Disney's. Back to the story, the London skyline gives way to a Christmas street scene with carolers singing a typically upbeat Rankin-Bass tune in front of wreath-filled windows. I can't embed video for it, but you can see the first part of the special and hear the songs on YouTube. Sing a Christmas carol written long ago. As they sing, the view changes to a large house, also decorated for Christmas. There's a fire blazing in the fireplace, the table is set for Christmas dinner, and presents fill the space beneath a decorated tree. Above the tree, the camera zooms in on a small, anthropomorphic insect who's dancing in the rafters and joins in the song. Any child of the '70s will immediately recognize the voice as Tom Bosley from Happy Days. He wishes us Merry Christmas and welcomes us to "the merry household of the kindest and most generous man in town, Ebenezer Scrooge." He acknowledges our surprise at that title, but asks us to take his word for it. By way of credentials, he introduces himself as B. A. H. Humbug, Esq. Rankin-Bass may have sought to educate, but they knew their audience and loved to throw in friendly, celebrity narrators or cutesy animal sidekicks; sometimes - like here - both in the same character. Humbug concedes that Scrooge wasn't always so jolly. As he explains how Scrooge used to be, the scene changes to another snowy, London street where children are building a snowman in front of Scrooge & Marley's counting house. Humbug quotes Dickens ("Now Marley was dead to begin with.") while explaining that Scrooge kept Marley's name on the sign because he was too cheap to paint it out. He was the Devil's stooge. If you've seen Rankin-Bass' The Hobbit, you're familiar with this tendency to suddenly insert snippets of songs here and there. It works better in The Hobbit though because that's what Tolkien did too. In A Christmas Carol, it's not without its charm, but it does get distracting. As Humbug sings, Scrooge continues playing with and biting his money, stopping occasionally to glare spitefully out the window at the snowman-builders. As Humbug gets to "Celebrated Christmas Eve," they yell a Merry Christmas through Scrooge's window. That gets him up and to the door. He shakes his cane at them and cries, "Away! Away with you and your infernal 'Merry Christmas!'" Rankin-Bass dialogue is nothing if not cheesy. And - as long as we're being critical - saying that Scrooge "cries" at the kids is an overstatement. Walter Matthau was never a particularly passionate actor and I'm afraid that's true here too. Instead of acting, he sounds like he's reading the lines to his grandkids from a book. Calling Scrooge kind and generous isn't the only foreshadowing this production does. Immediately after Scrooge's chasing off the children from his store, we cut to his bedroom where he's checking under the bed with his candle before he gets in and covers up. Humbug quotes Dickens' "old sinner" passage and says that that's how it was "until that Christmas Eve when the ghost came." Cue the chain-clinking. The first time I saw this version I thought that maybe they were going to skip over the entire first part of the story and go straight to Marley's ghost. Once you have an insect named BAH Humbug narrating your story, you get the feeling that the traditional way of telling this thing has kind of been left on the curb. But never fear. As Marley's shadowy figure forms at the foot of Scrooge's bed, Humbug goes into carnival barker mode. "Ladies and gents; boys and girls; a ghost story for Christmas: The Stingiest Man in Town." The music swells and the credits begin. It's cheesy, but it's also a unique, fun, suspenseful way of opening the story. Sure, it spoils the ending, but it either assumes that you're old enough to know the end already or young enough that you may need some encouragement to watch this miserable old guy for an hour. And hey! There's going to be a ghost! The credits play over more London skyline (now with the London Bridge, the Tower of London, and probably some other landmarks that I'm too dense to identify easily). An orchestra plays an overture of tunes we can expect from the production until we get back to the street in front of the counting house. Carolers, of course, are singing. Inside the counting house, Humbug keeps up the song for Bob Cratchit as Scrooge merrily plays with his money in the background. 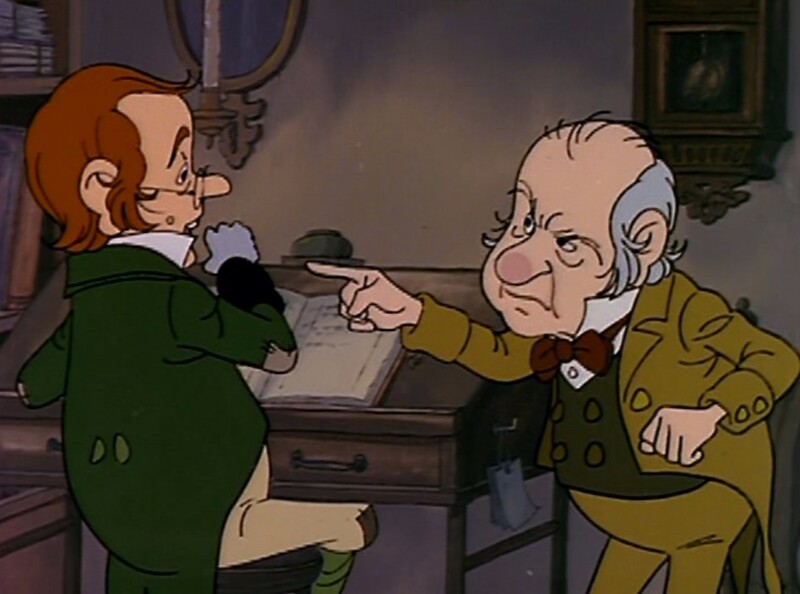 Scrooge interrupts the song to yell at Cratchit for wasting time and threatens him about becoming "an old-fashioned pauper if you don't attend to your job" before fussing at him about using too much coal. There's nothing new about Scrooge and Cratchit so far in this version. Rankin-Bass' innovations are all about the narrative structure.The scene ends with Cratchit's changing the subject by looking out the window and noticing aloud that someone's coming. I've had some Christmas Carol art links sitting in a folder for a while now, so I figure now's a good time to post them. This is George O'Connor's (Olympians) version of Marley's Ghost. Though Alastair Sim of course played Scrooge in of one of the most famous adaptations of A Christmas Carol, what you may not know is that he was also the voice of Scrooge in Richard Williams' animated version from 1971. And if you didn't know that, you also didn't know that it was produced by Chuck Jones and won an Oscar in 1973 for best animated short. "Now wait a minute," you might say. "How did it win an Oscar two years after it was released?" I wondered the same thing. Apparently though, it was created for TV and originally aired at Christmas in '71 on ABC. According to this Christmas Carol site, it was released to theaters especially so that it could be eligible for the Oscars. It won, but that led to the Academy's changing its rules so that nothing else originally shown on TV could win again. It opens with threatening music, an impenetrable fog, and falling snow. The orchestra soon gives way to a children's choir singing "God Rest Ye Merry, Gentlemen," but the arrangement still has a sinister air to it. The fog clears enough to show us the London skyline, dominated by chimneys and thick, black smoke. That gives way though to other Christmas-in-London scenes as the credits begin to roll. Saint Paul's Cathedral is in this montage of course, but what's most remarkable is the shaded-pencil style of the animation. It's dirty and messy, but also soft and lovely. Much like Victorian London at Christmastime. The Season: That of jollity, of festivity and charity; holly and berries and good will to all men. With perhaps one exception. It is with this exception that we are concerned in our story. The exception is Ebenezer Scrooge. The camera closes in on a single, lighted window in all the dark town. We go through and find Scrooge writing at his desk. He looks haughty; almost bored with what he's doing. There's a fade to black, then we fade back in to focus on Bob Cratchit, miserably trying to warm his hands over his small candle flame. Bob looks lifeless, sad to his soul, and utterly defeated. The two work in silence for a couple of seconds before the door opens and a visitor comes in. Like with the Shower of Stars adaptation, this abbreviated version is going to cut out any preliminary getting to know Scrooge and let the characterization play catch up as the plot unfolds. I said about the Shower of Stars version that that's a logical cut, but it just now occurs to me that the also-short Mickey's Christmas Carol didn't do it that way. As we'll see when we get to it, Disney uses jokes to show Scrooge's stinginess, but also takes the time to reveal his personality (and let us know about dead Marley) before any visitors arrive at the shop. It'll be interesting to continue keeping an eye on these shorter versions and think about what they choose to trim, what they decide to leave in, and what that says about the themes they're highlighting. That a merry Christmas can bring to you! The title cards are wonderfully illustrated by Ronald Searle, best known to comics fans as the creator of St. Trinians School (which was re-adapted for film not too long ago). The drawings are all of standard, Victorian Christmas scenes, but Searle makes them whimsical and fun. 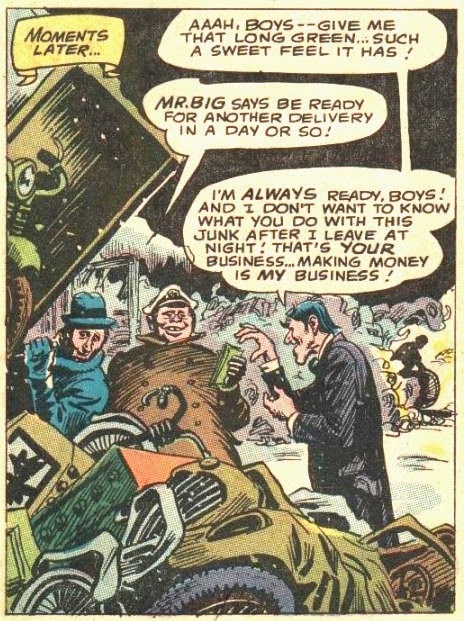 The last one morphs into the first live-action shot of the film as a man pushes a cart down a snowy, gaslit street. Scrooge is the first adaptation with sound not to use "Hark, the Herald Angels Sing" in it's title sequence, but it quickly makes up for that by having a quintet of Cockney kids sing it in the street. The carolers are more than background music too. After getting a sweet tip from the first house we see them at, they move on to Scrooge & Marley's, whose sign reveals them to be "Private Merchant Bankers and Moneylenders." Inside, Scrooge is hunched over his desk, counting coins. 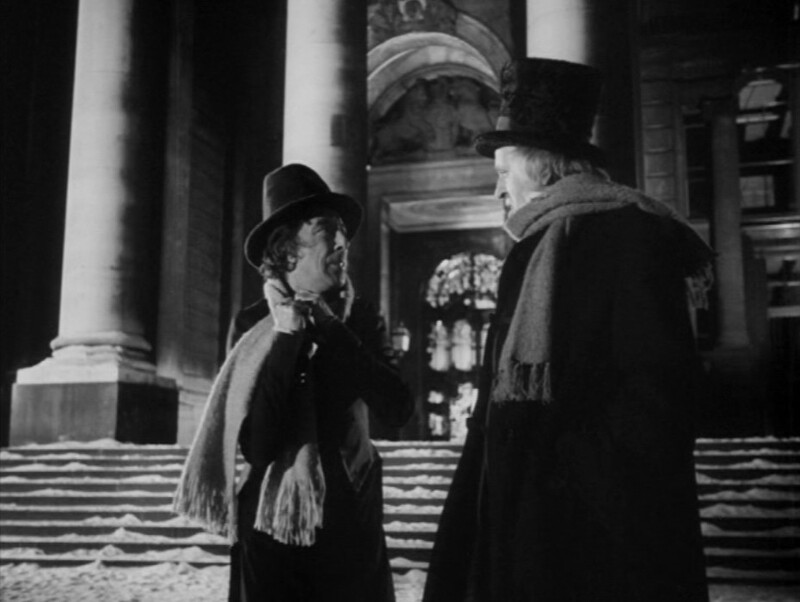 Finney's Scrooge is more like Sir Seymour Hicks' than Mark McDermott or Alastair Sim's. He's a hunched over, crab-fingered, old coot. Distracted by the singing, he gets up, mumbling about "caterwauling" and "why can't they leave a man in peace?" In another time and place, he'd be the guy sitting on his front porch, shaking his cane, and yelling at the neighbor kids to get off his lawn. He's largely powerless and completely pathetic. I love how when he gets up to shoo off the boys, he first grabs an empty drawer from the desk and uses it to cover up his money. Maybe he expects the wind to come through the door and mess up his piles, but I suspect that he's distrustful of the only other person in the room: his clerk. That's awesome and it hints that Finney's Scrooge is a character to be laughed at more than hated or pitied. Not having a cane, Scrooge grabs a fireplace shovel before going to the door. I notice that - breaking away from the traditional argument about the coal - he has a small fire going. I also notice that his desk is right in front of the fireplace, blocking any heat from reaching the clerk. As Siskoid pointed out when I posted about this on the separate Christmas Carol blog, this Scrooge is more selfish than miserly. That's a fair, interesting interpretation of the character and doesn't change his core flaw. If anything, it highlights it more clearly. Scrooge's main problem in the story is that he doesn't use his resources to help others. That he also traditionally doesn't use them to help himself really just confuses that point. Scrooge runs off the carolers with swings of the shovel and a good "Humbug" muttered at their backs as they laugh and run away. Coming back inside he's still mumbling about "young ruffians" and their "Christmas nonsense." 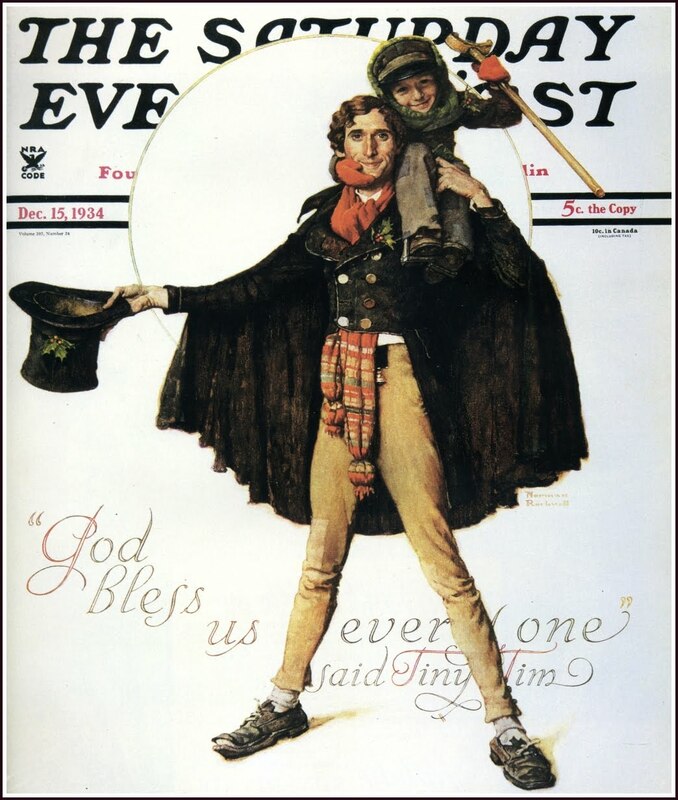 He catches his clerk smiling at this and tells him, "Beware, Cratchit. You have a dangerous sense of humor." Before Scrooge can get back to his desk, there's another knock on the door. Thinking it's the carolers returned, he storms back to the door, screaming as he opens it. But it's not the kids. There's no mention of Marley yet. Though my original intention was to stick to more-or-less faithful adaptations of A Christmas Carol instead of spoofs or homages, this one's so ridiculously goofy that I'm adding it for kicks. It opens with the Teen Titans (still just Robin, Wonder Girl, Aqualad, and Kid Flash at this point) sitting around their clubhouse and reading. 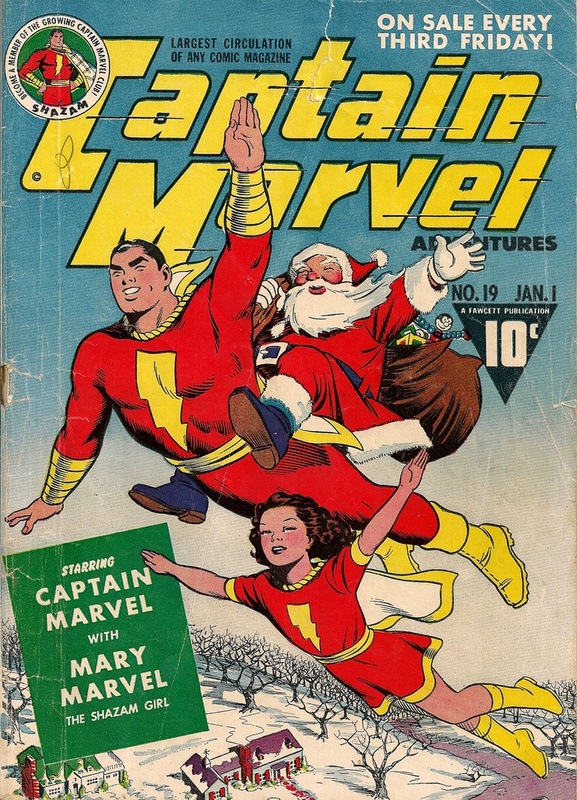 Most of them have comics about their adult partners, but Robin's enjoying A Christmas Carol, something that he gets grief for from his pals, Wonder Girl in particular. "That story's definitely ungroovy these days!" she says. "Who could believe in such uncool characters as Scrooge - or Bob Cratchit - all that old jazz?" Man, that Bob Haney could write some dialogue, eh, Daddy-o? Robin caves to peer pressure and puts Dickens away in favor of the latest issue of Batman. Meanwhile, across town at a private junkyard (awesomely named Junk-O-Rama), proprietor Ebenezer Scrounge is arguing with his employee Bob Ratchet over the setting on the thermostat. 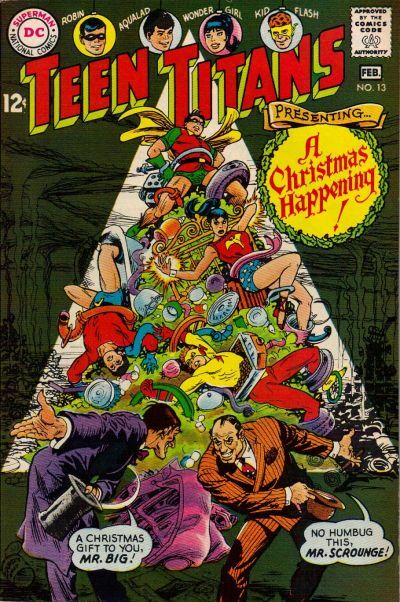 I tell you, if Haney's version of hep-talk was enough to make me rethink reading these stories (au contraire, it's so not), Nick Cardy's art would be enough to keep me around. Junk-O-Rama is a snow-covered playground of lost treasures that looks like it was designed by Tim Burton. The office, for instance, is in an old school bus with a functional smokestack sticking out of the side. After Scrounge and Ratchet argue about the heat, they start in on whether or not Ratchet gets Christmas off the next day. Since this is happening at the same time as the Titans' earlier conversation, it means that Wonder Girl, Aqualad, and Kid Flash were making fun of Robin for reading A Christmas Carol ... ON CHRISTMAS EVE! Who's your Scrooge now, you little punks? Back to Scrounge and Ratchet though, if we're going to analyze them in the same way we have the other versions, Scrounge looks positively wicked. He's younger than Scrooge is usually depicted and has huge, pointed eyebrows and a hairstyle that suggests devil horns. Surprisingly, he's gentler on his employee than Scrooge usually is, going so far to address Ratchet as "my good fellow." Not that their relationship is equitable or even pleasant. When Ratchet complains, he whines like a child pleading with his parent. "Couldn't we turn up the heat a little?" "But everyone celebrates Christmas!" And like a child, he's stronger in his objections when he's thinking to himself than when he addresses his boss. Scrounge finally relents on the whole day-off thing as long as Ratchet gets all his work done before he leaves for the night. In fact, he's eager to get Ratchet out of the office and lets him leave early. As we quickly find out, Scrounge is up to something illegal and doesn't want Ratchet to know about it. 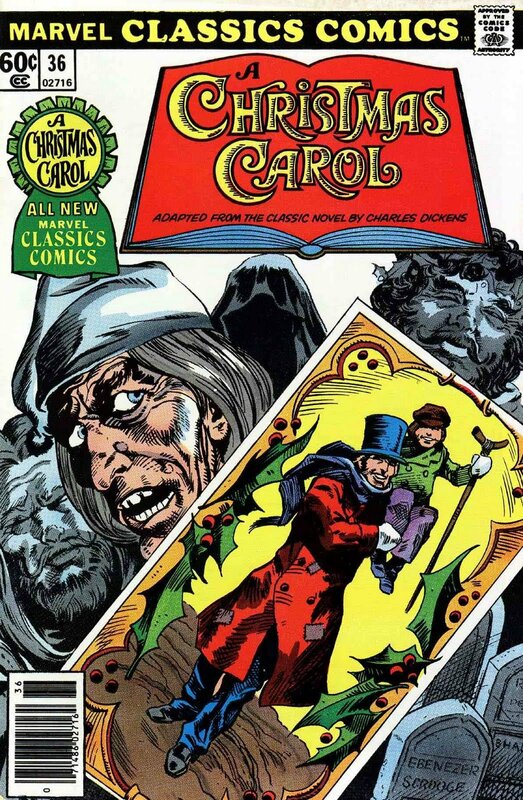 This is a major departure from Dickens, but since it's a Teen Titans comic first and a Christmas Carol adaptation second, we're going to need some criminal activity to get the heroes involved. What's going on is that Scrounge is leasing out part of the junkyard to smugglers. It's a crazy operation in which the smugglers import duty-free junk from overseas and then use a fancy ray gun to make it brand-new so they can sell it for a hefty profit. Of course, they could save themselves some shipping costs by just turning the junk already in Scrounge's yard into new items (or better yet, patent the technology and live comfortably off the profits), but that's not brought up. Ladies and Gentlemen: Bob Haney. Unfortunately for the crooks, Ratchet's wheelchair-bound son Tiny Tom has come to the junkyard to visit his dad (not realizing that he's gone home early) and learns about the scheme. Tom tells Ratchet, who confronts Scrounge, who - no surprise - doesn't really care as long as the smugglers keep paying him. In fact, he threatens to fire Ratchet if he goes to the police about it and decides that Ratchet does have to work Christmas Day so that Scrounge can keep an eye on him. We learn that Ratchet's a widower with no other kids to clutter up the story. He needs his job in order to buy an electric wheelchair for Tom, so he agrees to abide by Scrounge's decision. Tom, on the other hand, knows who he can go to without involving the police: The Teen Titans! Tom comes back with the Titans a little later and they find the smugglers still there. Before they can catch the bad guys transforming the junk though, the villains are startled by another person in the junkyard. They fight the shadowy figure, but he beats them up and sends them running for their truck. With no evidence of any wrong-doing, the Titans and Tom decide to follow the stranger instead. He leads them to Scrounge's house. Which is where we'll stop for this post. There are no nephews or charitable solicitors in this version, so it'll be a couple of years before we come back to it. Suffice to say that the shadowy stranger is a stand-in for a Dickens character, so we'll pick up this version again once the other versions have had a chance to catch up. Danny Djeljosevic and Nathaniel MacDonald at Comics Bulletin's Comics You Can Dance To podcast were nice enough to let Jason Copland and I crash their party this week.After the most awesome musical introduction ever, we talked for half-an-hour about Kill All Monsters: the history, the creative process, the influences, and balancing KAM with other projects (in my case, blogging and some other short stories I've got lined up). It was extremely fun and I'm thrilled with how it turned out. Thanks again to Danny and Nate for having us on. I've kind of caught the podcasting bug now. 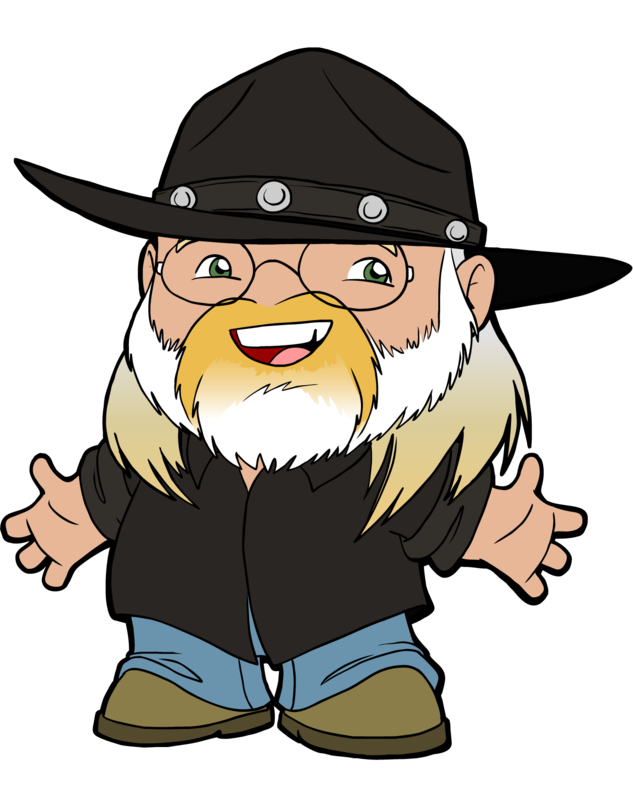 I also just had a great time recording an episode with Tommy Hancock for his Genre Talk program about one of my favorite genres. I'll link to that when it's up and tell you more about it then. This one's not a movie, but an episode from the '50s anthology TV series Shower of Stars. I'd never heard of that show, but according to Wikipedia it was a companion show to CBS' Climax Mystery Theater (most famous for its episode that adapted Casino Royale with Barry Nelson as an American James Bond). Climax focused on drama; Shower of Stars on musical comedy. The Christmas Carol episode has a fantastic cast and I can't believe it's not more popular. Fredric March (Dr. Jekyll and Mr. Hyde) plays Scrooge, Basil Rathbone (Sherlock Holmes, Son of Frankenstein, etc.) is Marley, and a very young Bonnie Franklin (One Day at a Time) is a young Cratchit. Also, the music is by Bernard Herrmann (The Day the Earth Stood Still, all the best Orson Welles and Alfred Hitchcock films). While the steady yulefire gleams. Grows the yule tree we have chosen. This will be our Christmas tree. As the carolers sing, they walk around a Victorian street and greet shoppers. It's a remarkable set - especially for live TV, which I assume this was - complete with a horse-drawn cart full of Christmas trees. Like I said, the song itself is lovely. It's sung by a young tenor soloist with each verse being repeated by a mixed quartet. The carolers finish their song and move on, leaving us outside a bookstore. Inside, the bookseller shows his customer a volume and a close up of the spine reveals that it's A Christmas Carol by Charles Dickens. The book opens while a full chorus sings the theme song again and we see the credits printed on the book's first pages. The song ends and the customer buys the book. When he goes outside he's approached by two gentlemen with a ledger who ask him if they can "put him down for something." He enthusiastically pledges ten pounds, "a little better than last year." They all express their mutual delight, wish each other a Merry Christmas, and part. It's obvious who these two solicitors are and - though I like how this is all set up - it raises a weird question about continuity by putting the finished story of Scrooge's adventure in the story before the events ever take place. The bookseller must have once been visited by a traveler from the future. Probably with a robot sidekick. That's what I think anyway, making this the best Christmas Carol ever. We follow the two gentlemen to a storefront and the light flute music changes to ominous horns as we see the name on the door: "Scrooge & Marley." Clueless, the gentlemen check their ledger to make sure they have the right place and go inside. Since Shower of Stars was only an hour long - including commercials - cutting out any introduction to Scrooge is an economical way of getting the story moving. The abrupt brass music is our first - and so far, only - clue that something's not right about this place. We'll have to wait until we go inside to learn why and find out anything about the old sinner who works here. In spite of the extreme importance that Dickens places on Marley's death right away in his story, all the film versions so far have left Marley out of the earliest scenes. Alastair Sim's is the first to introduce him this soon. When the narrator gets to the part about Scrooge’s signing Marley’s death certificate, the scene shifts to the Exchange where Scrooge is getting ready to leave after conducting business. A couple of other businessmen ask if he’s going home for Christmas, to which Scrooge replies that “Christmas is a humbug.” The men laugh rather smugly, enjoying Scrooge’s misery, but also seeming to admire him for the extent to which he worships at the altar of Business. He likes money so much that he resents Christmas for keeping him from making any. The two men are like Star Wars fans who make fun of the guy who spends all of his money on expensive statues and replicas, all the while secretly envying him his collection. Outside the Exchange, one of Scrooge’s customers is waiting for him to plead for more time to pay off a debt. 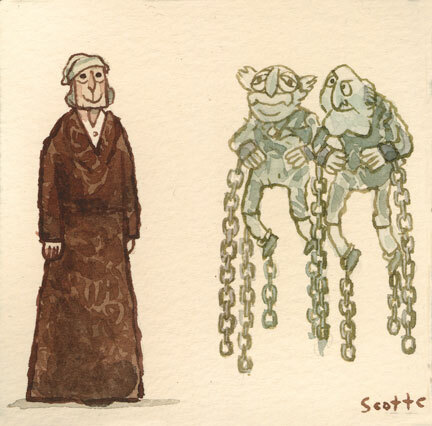 “Did I ask you for more time to lend you the money?” Scrooge asks. 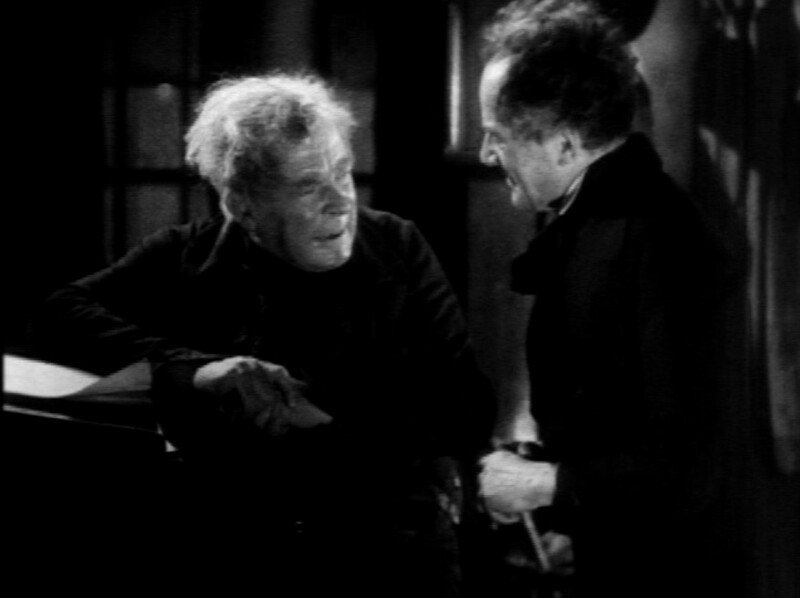 “Then why do you ask for more time to pay it back?” Scrooge demands that the man make payment by the agreed upon time or – Christmas or no Christmas – he’ll put the poor fellow into debtors’ prison.Though Scrooge is obviously a moneylender in this version, later scenes with the Ghost of Christmas Past will show that he wasn't always that way, but got his start in some kind of manufacturing. One of the things this movie does really well is show the transition from Scrooge the apprentice in Fezziwig's warehouse to Scrooge the financier, but I'm getting way ahead of myself. For now, it's enough to know that Sim's Scrooge is cold and horrifying. He’s tall like McDermott, but even more imposing. McDermott wags his finger like a cranky old man, but Sim – while old – is vital. He has energy; every bit of it focused on increasing his fortune. He’s miserable, but he doesn’t know it. I think that’s why he’s my favorite. The opening section of this film ends as Scrooge arrives at his office, chasing off some carolers singing “Silent Night” from in front of the building. The Reginald Owen version of A Christmas Carol sets the stage with a title card (“More Than a Century Ago…in London…on Christmas Eve.”) over the London cityscape (including Saint Paul's, of course) accompanied by a men's choir singing "Hark, the Herald Angels Sing." It follows this with various scenes of Victorian people enjoying their Christmas. It's one of my favorite openings. Into this scene walks a cheerful, young gentleman who joins the children in their sliding. He’s cheered on by a lame boy who’s watching the fun from the sidelines. The boy of course is Tiny Tim and he’s there with his older brother Peter. The gentleman puts Tim on his back for a slide, but gets accidentally bowled over by Peter in the process. Rather than getting angry about it, the gentleman good-naturedly announces that his only regret is that Peter broke his sliding record. The gentleman learns that the boys are waiting for their father, Bob Cratchit, the clerk who works for Mister Scrooge. 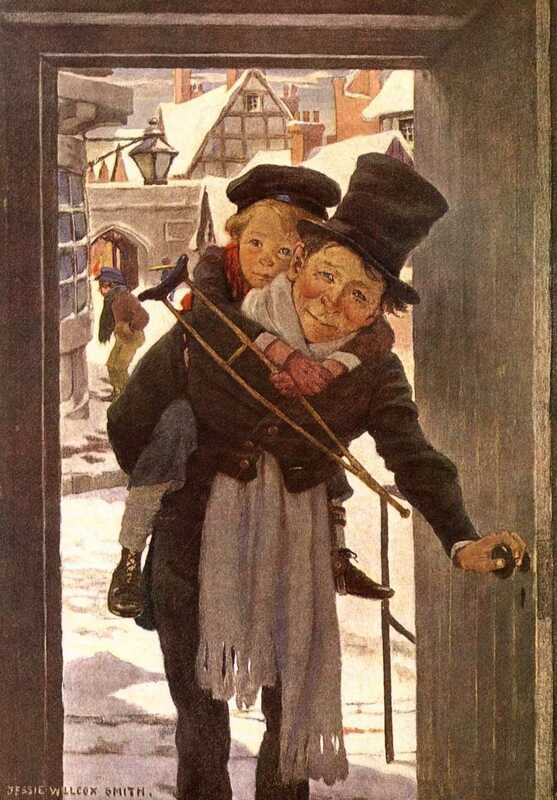 When he says that he’s on his way to see Scrooge himself, the boys ask if he’ll deliver a message to their dad. The gentleman asks why they don’t want to see their dad and they reply that it’s not him, but Scrooge they’re afraid of. He’s “not fond of small boys.” That’s when the gentleman reveals that he knows that all too well. He’s Scrooge’s nephew Fred and he experienced the old man’s wrath first-hand as a child himself. Embarrassed and afraid, Peter and Tim flee, but Fred grins and winks after them. Like I said, I love the uniqueness of this opening. Without meeting Scrooge at all, we get a feel for who he is and what he does to other people. Technically, it’s a lot of telling instead of showing, but it works. Even though people are talking about Scrooge rather than letting us see first-hand how he is, it’s not like we’re going to be deprived of plenty of examples of Scrooge’s meanness in the rest of the film. In fact, this version of Scrooge will turn out to be one of the nastiest. What this opening does do is give us a nice look at Tim and Fred, two of the most important members of the supporting cast. We learn everything we need to know about them by watching them interact in this scene. And we learn everything we need to know about Scrooge by listening to them talk about him. Still nothing about Marley though. I have endeavoured in this Ghostly little book to raise the Ghost of an Idea which shall not put my readers out of humour with themselves, with each other, with the season, or with me. May it haunt their houses pleasantly, and no one wish to lay it. I’m not sure why the movie opens with that other than to call Dickens to mind and maybe put the viewer in the proper mood, though it doesn't mention Christmas at all. On the other hand, the movie's already playing "Hark, the Herald Angels Sing" (the unofficial Christmas Carol theme song for most of the early films) over the credits and Preface anyway, so it doesn't need text to accomplish that goal. I’m thinking that the Preface is just flavor. After the Preface we get a scene of snow-covered London as a sad, Salvation Army-style band plays “The First Noel.” You can tell it’s London by the dome of St. Paul’s cathedral in the skyline. That’s the landmark that most of these movies use in their opening shots. So there’s your setting: London at Christmas time and things are fairly gloomy. We don’t learn about Marley just yet in this version either. Instead, like in 1910, we go straight into Scrooge’s office where the clerk is patting himself and trying to warm his hands over a single candle. When he finally decides to try and sneak some coal, Scrooge fusses at him and forbids it, making vague threats about firing the poor clerk. The clerk humbly puts on a scarf instead. We don't learn the clerk's name yet, but we do find out that he's got a half-dozen kids to support: three boys and three girls. Hicks’ Scrooge is hunched over at his desk when we meet him. Instead of imposing, he’s a small, pathetic-looking character with untidy hair. He’s only threatening because he controls the wallet. It’s not really fair to compare him to McDermott’s Scrooge, whom we’ve seen so little of so far, but Hicks doesn’t just look mean for its own sake. He’s convincingly miserable and I fully believe that he wants to share that misery with everyone around him. It's interesting that though the literary Scrooge conjures up images like Hicks, the most memorable movie performances (Alastair Sim and Greorge C Scott, for example) portray Scrooge not as small and pathetic, but the way Mark McDermott did in 1910: a tall, powerful man. Not right away though. Our next Scrooge - 1938's Reginald Owen - will also be of the hunched variety.